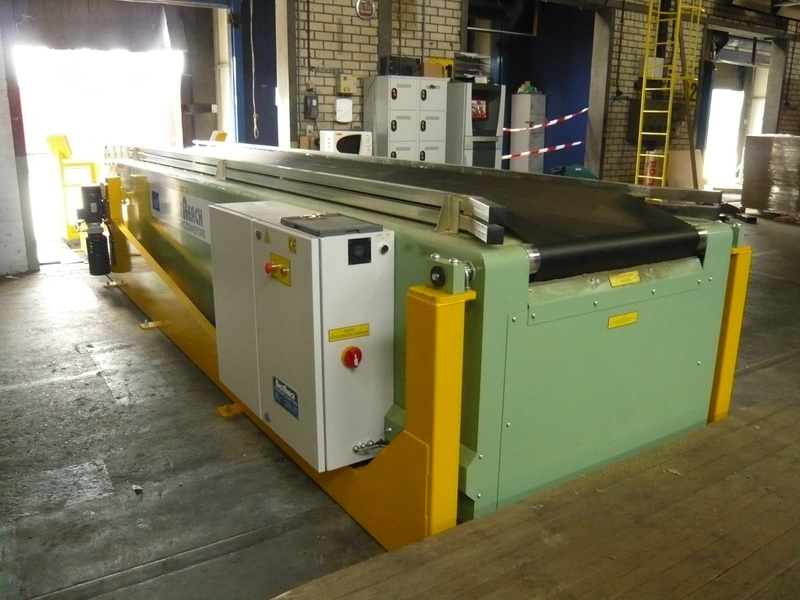 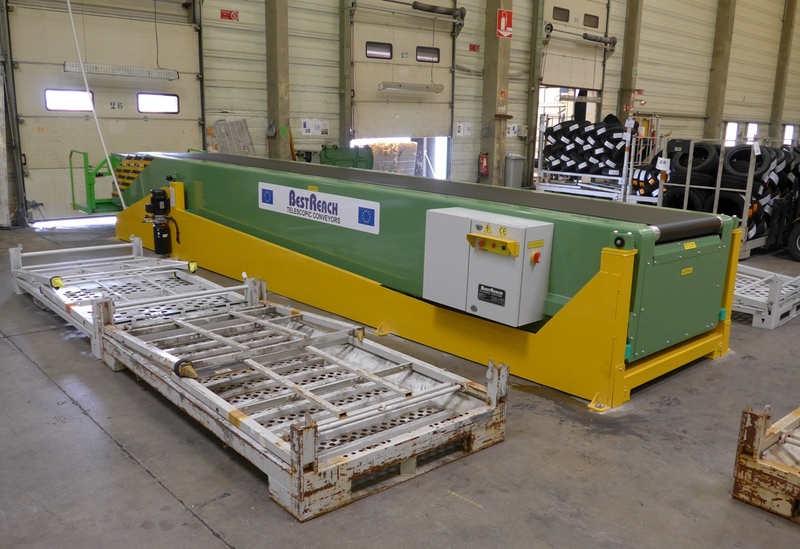 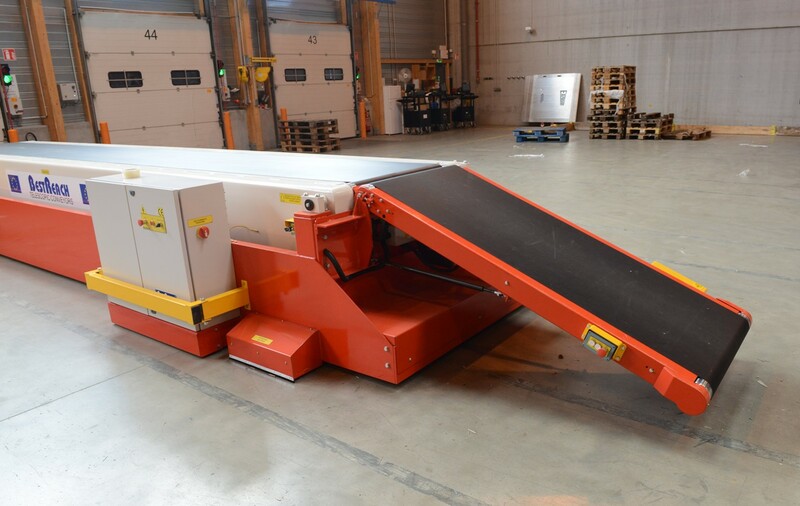 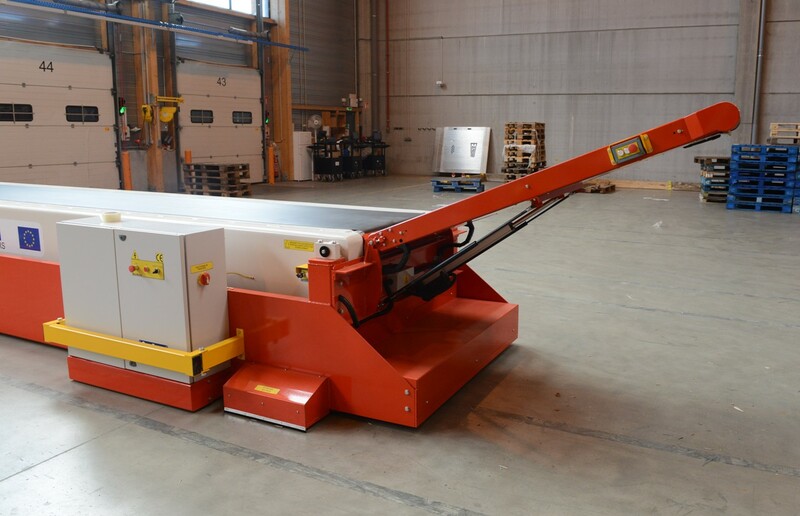 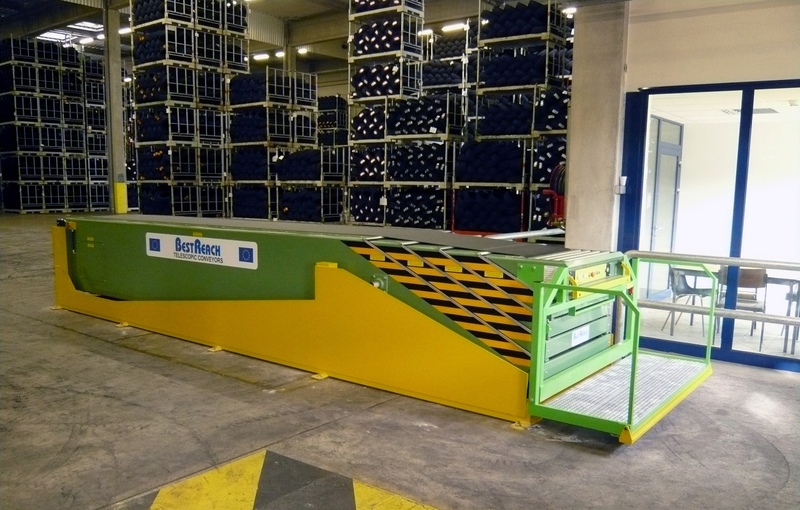 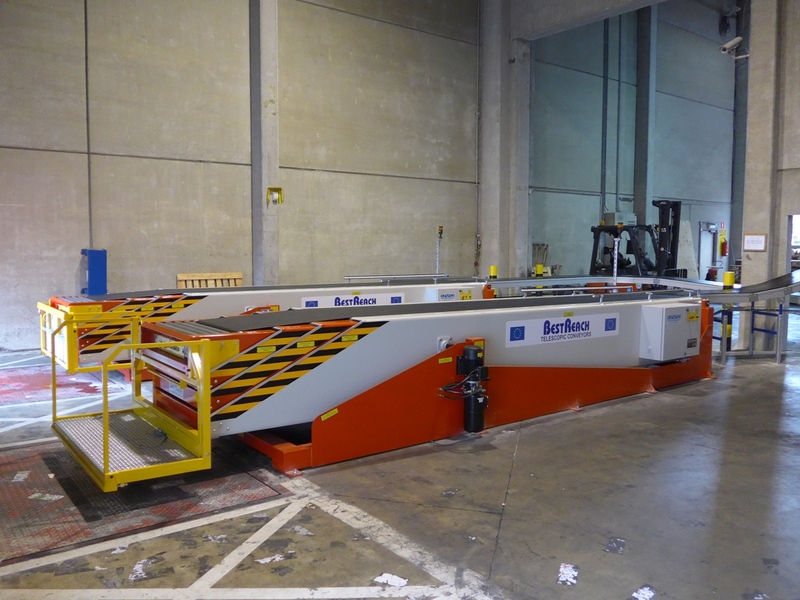 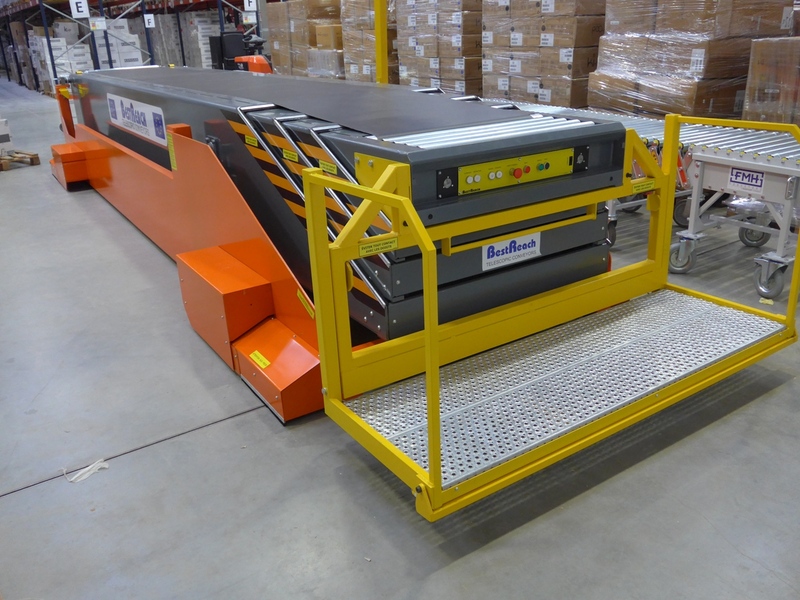 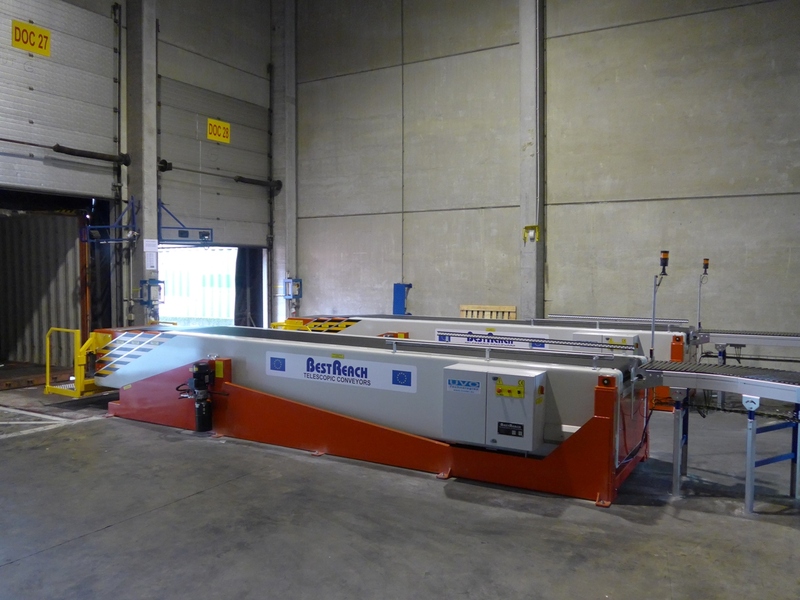 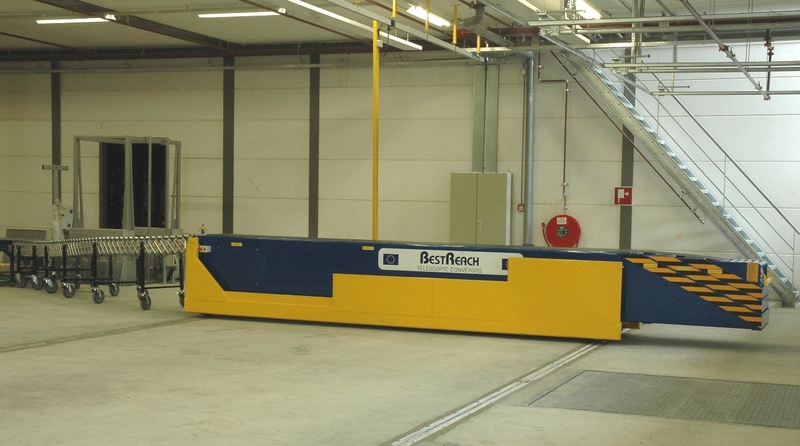 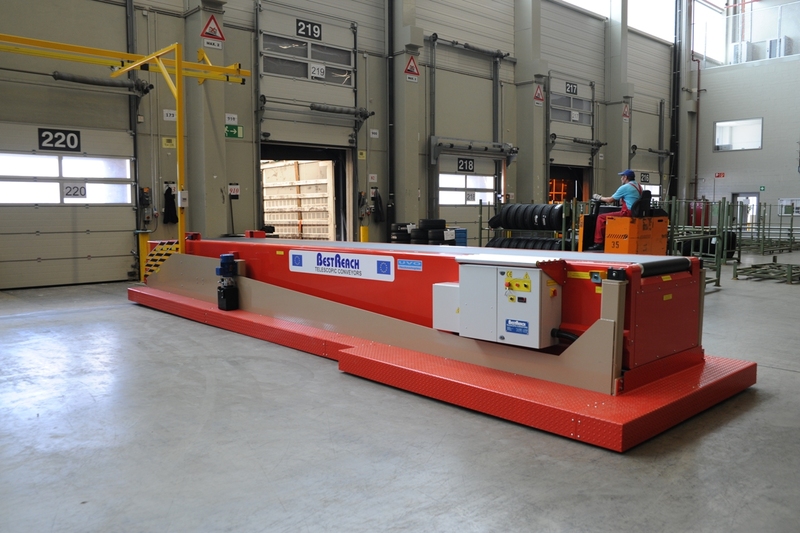 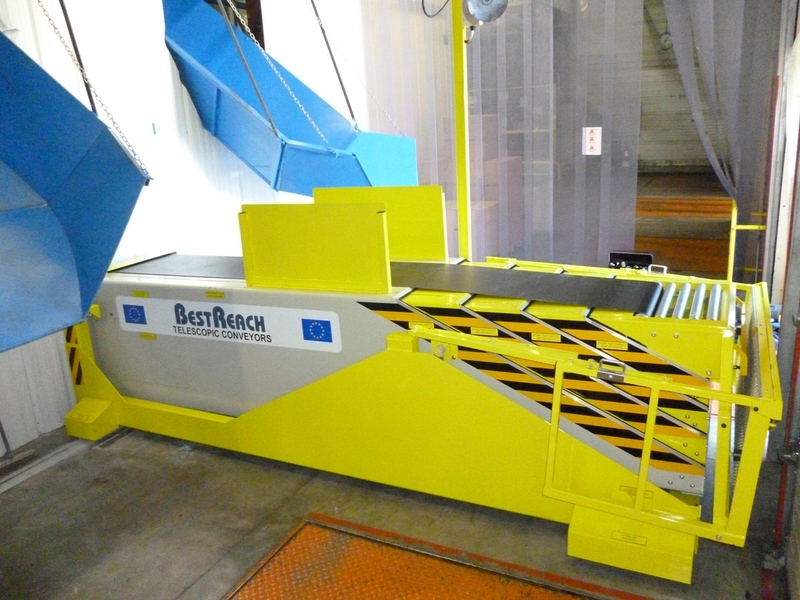 The BestReach Telescopic Boom conveyor system with its all-steel construction is the smart solution for high volume loose handling in shipping and receiving applications. 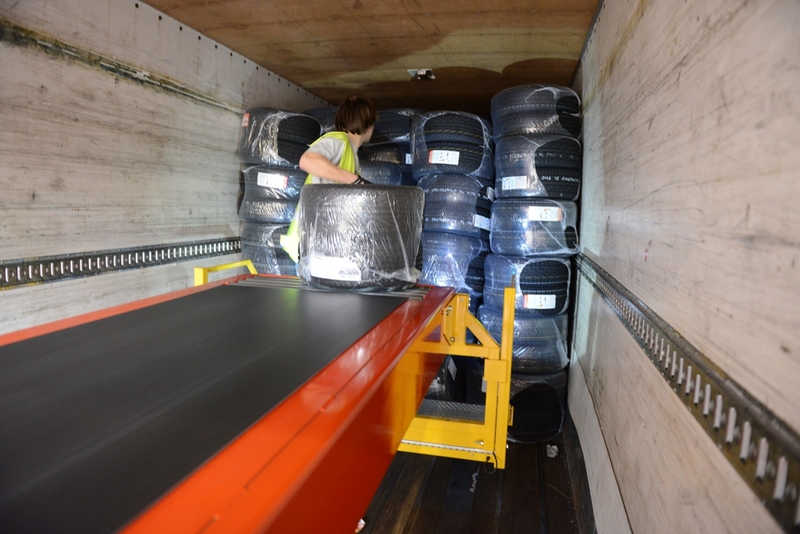 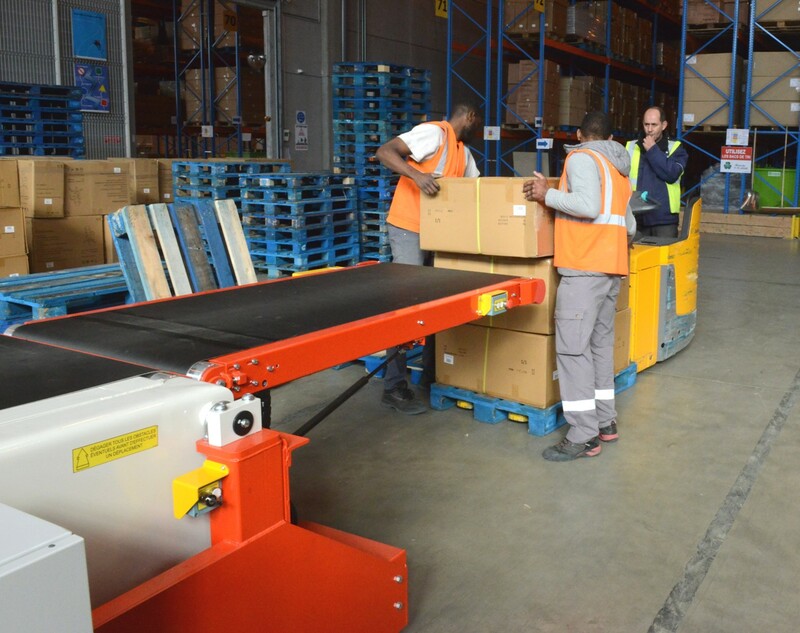 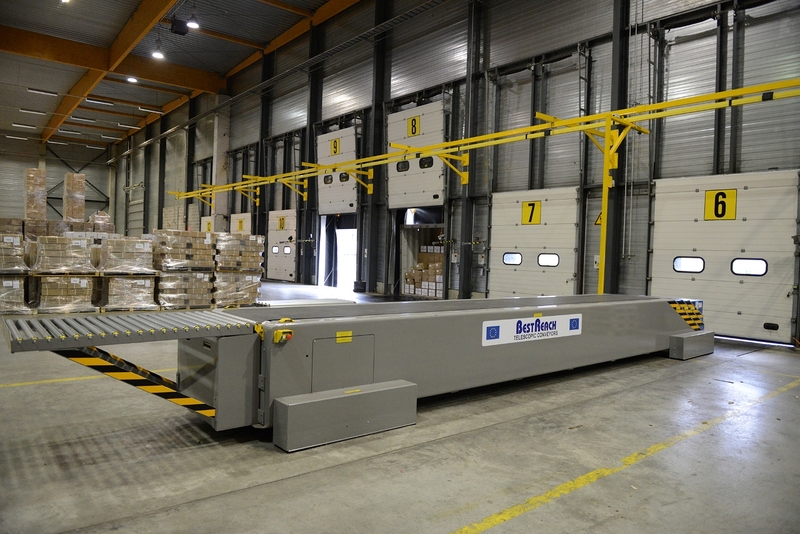 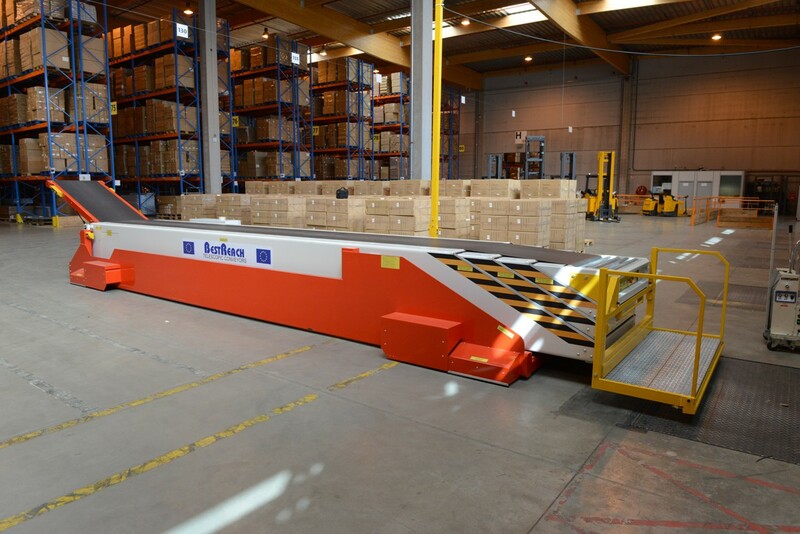 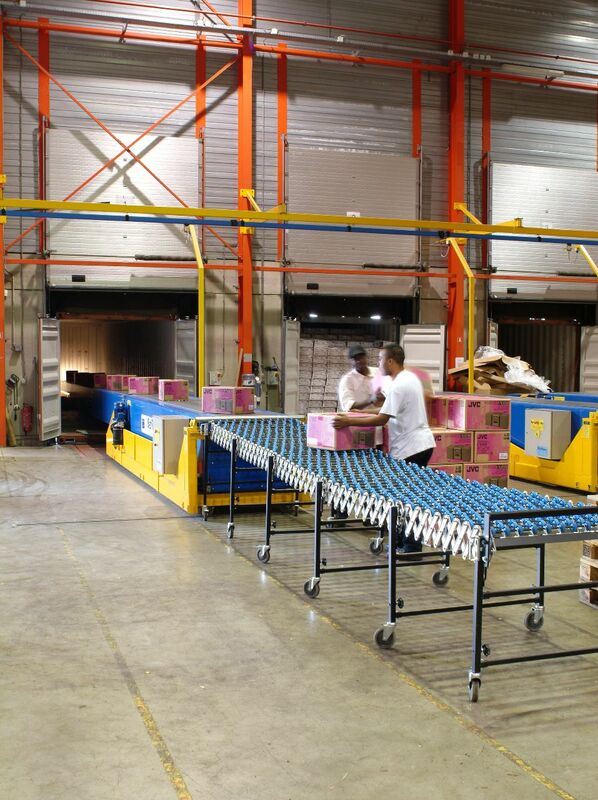 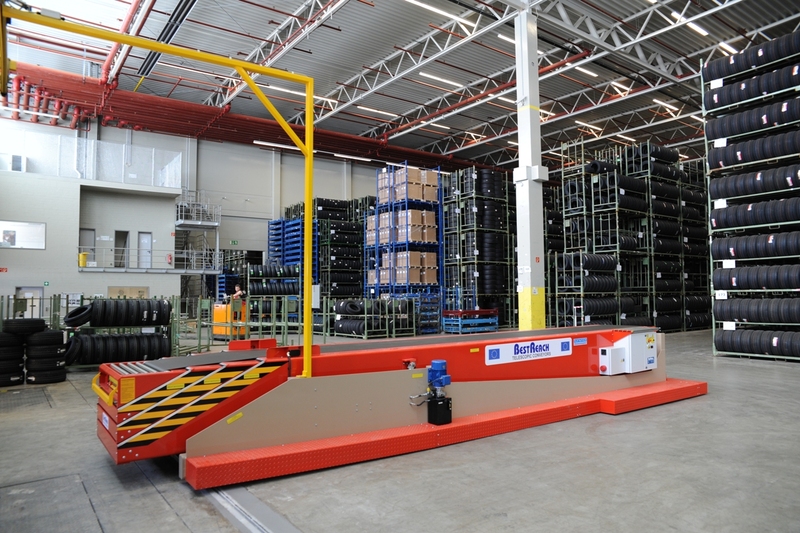 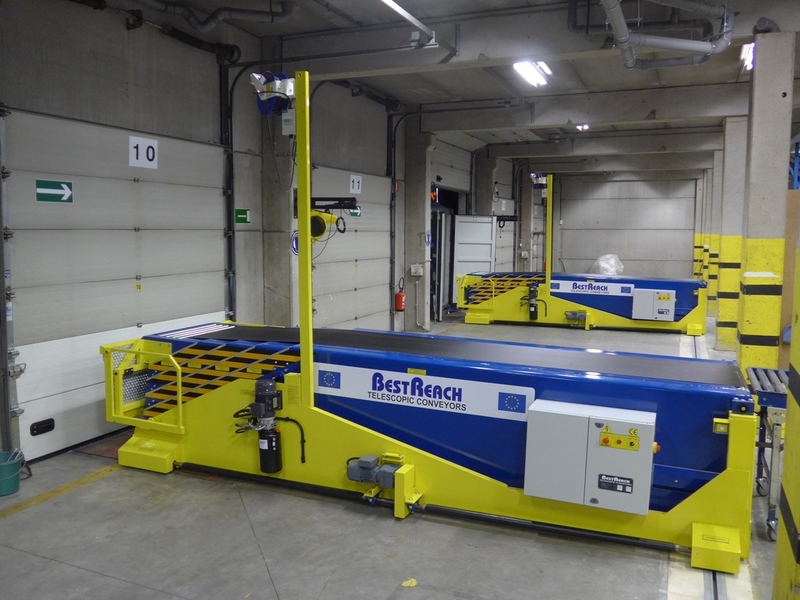 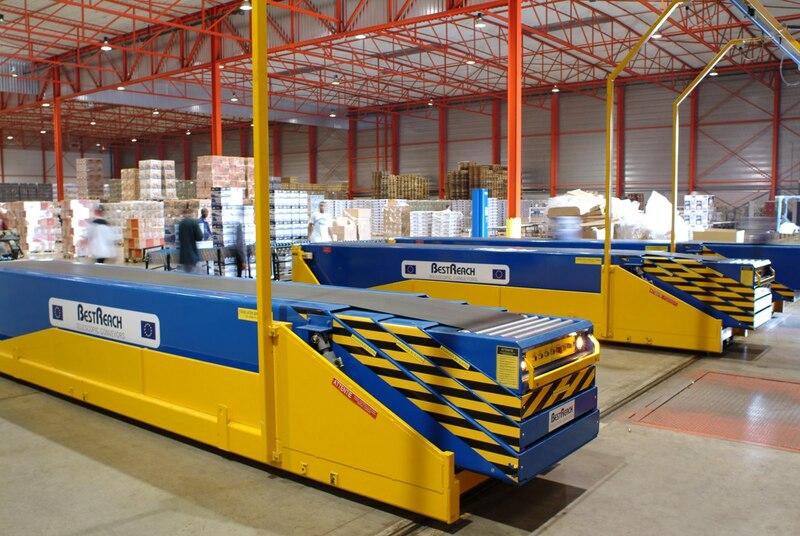 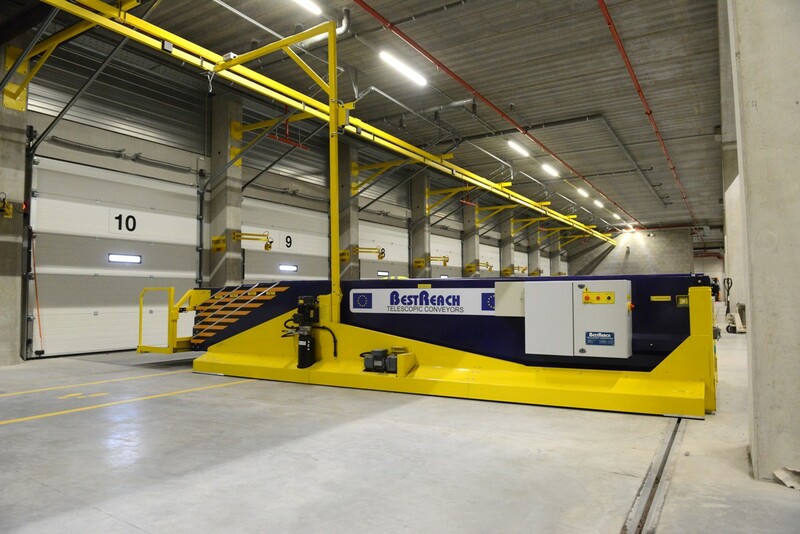 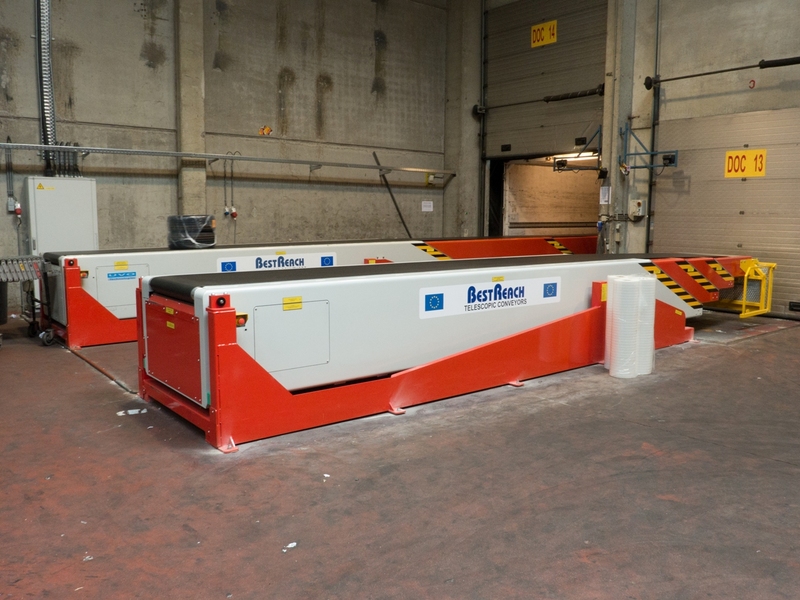 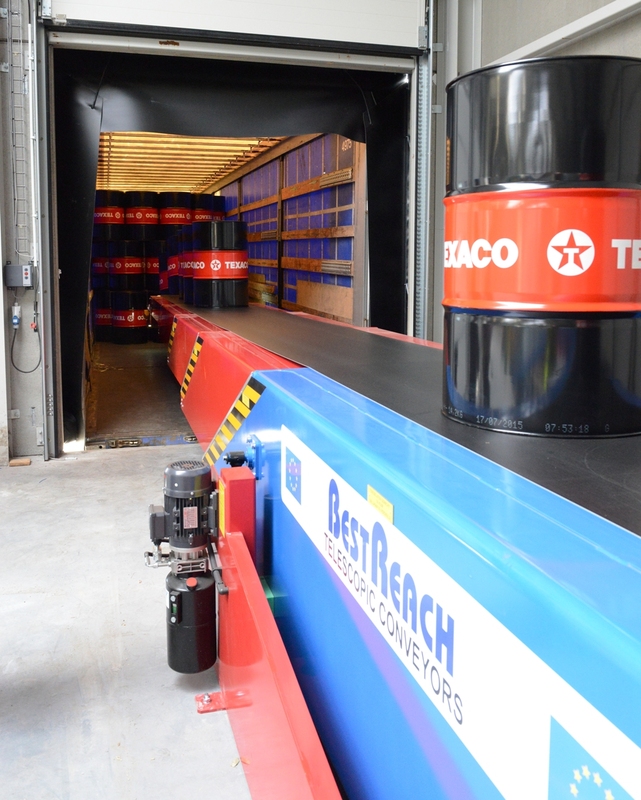 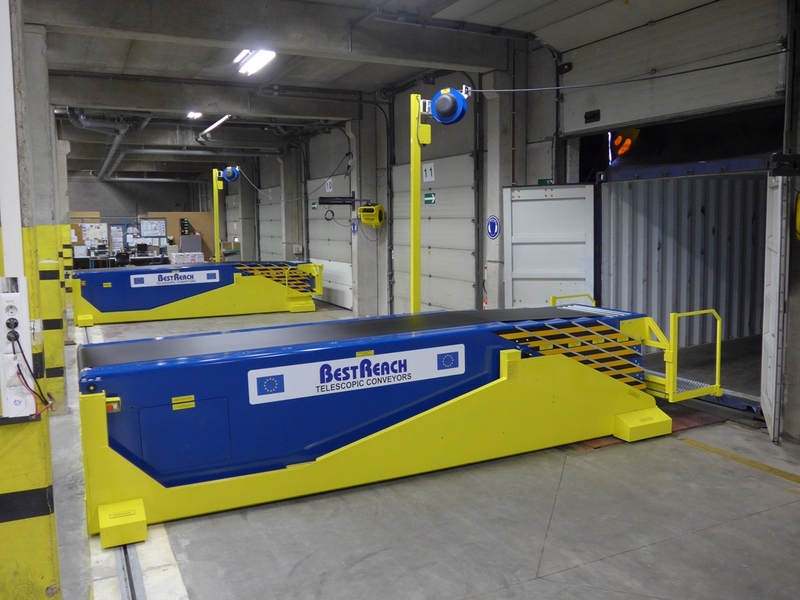 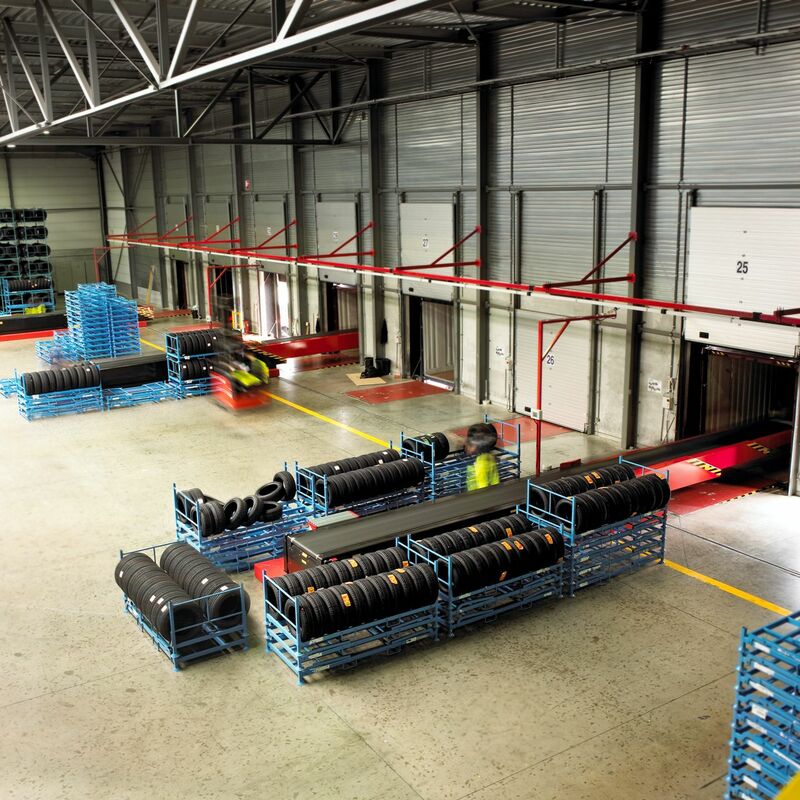 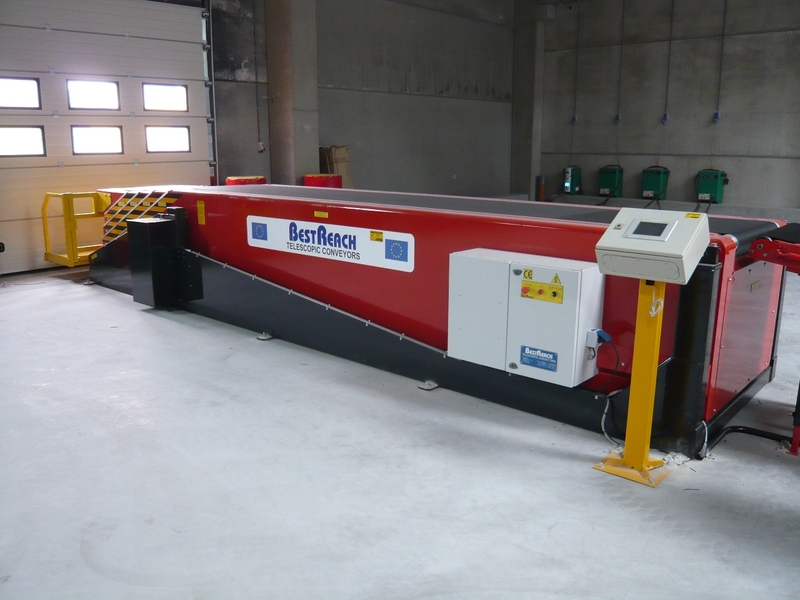 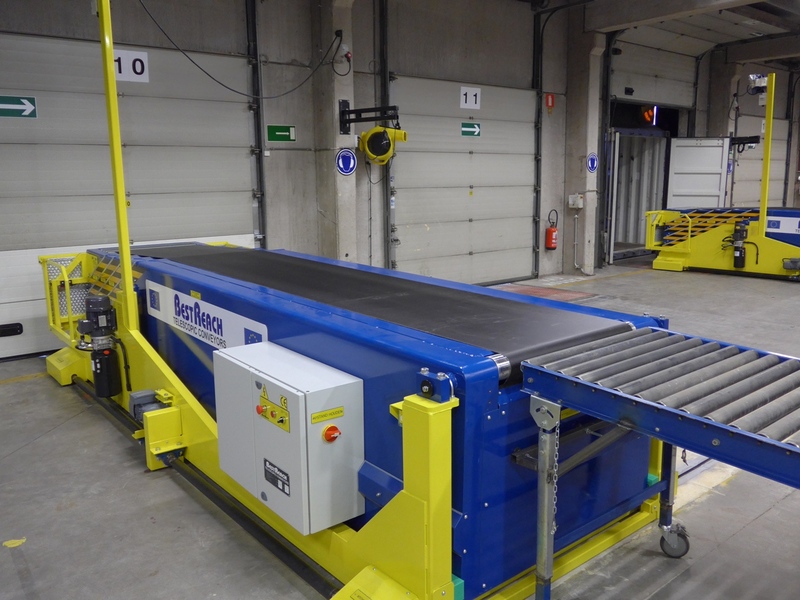 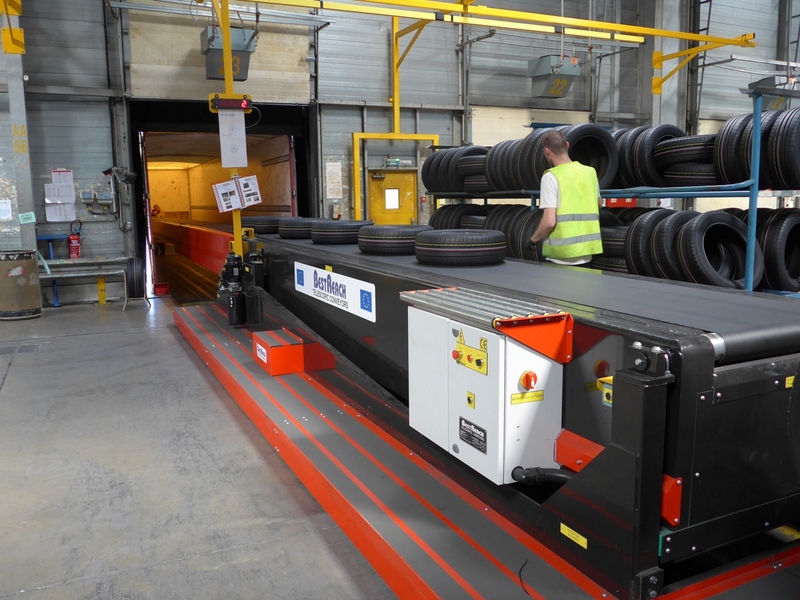 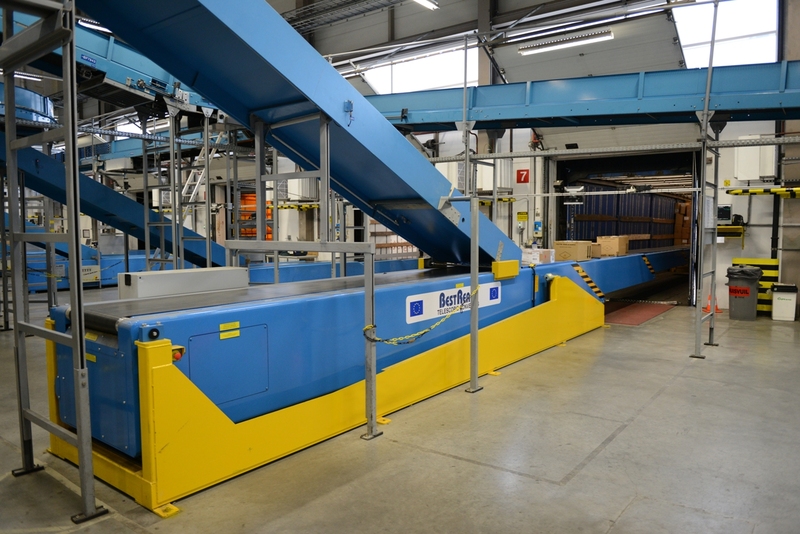 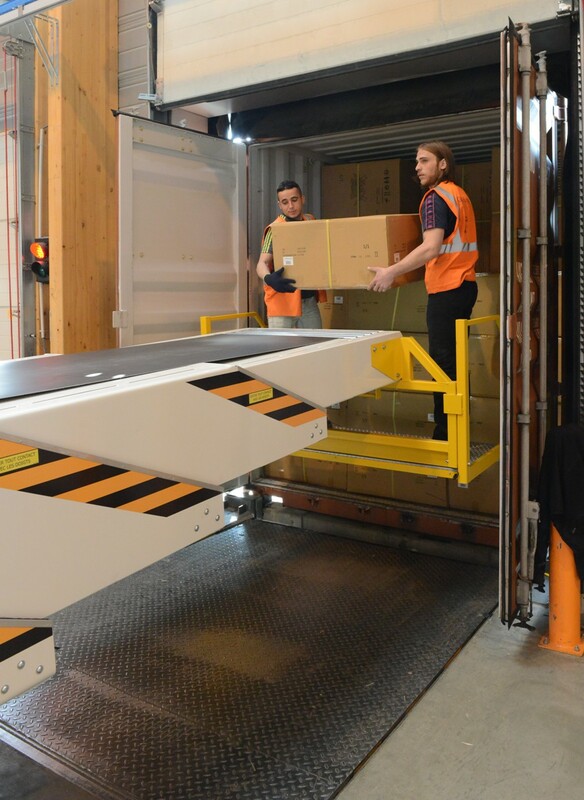 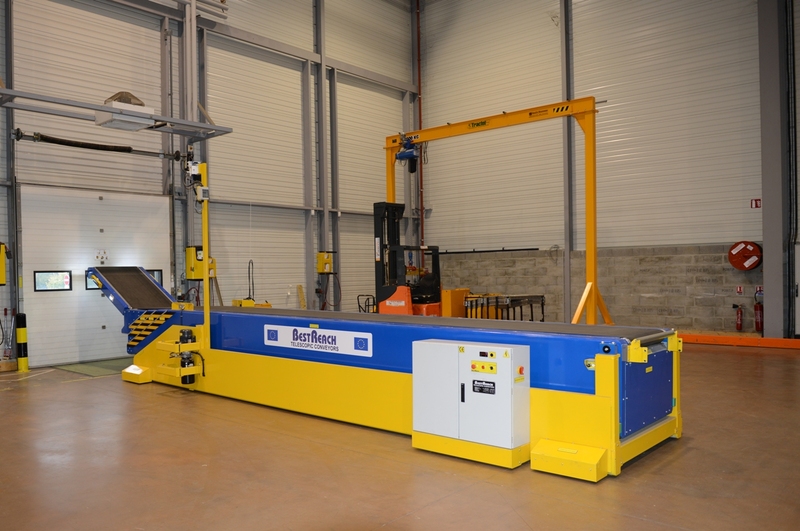 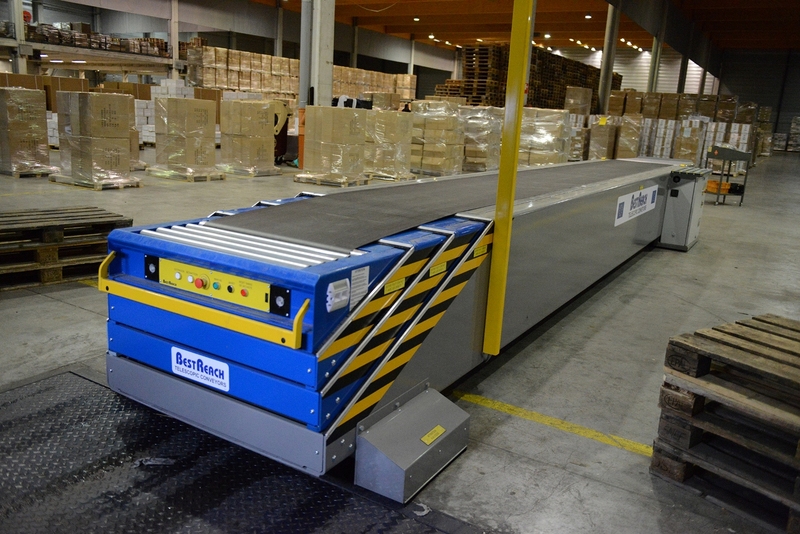 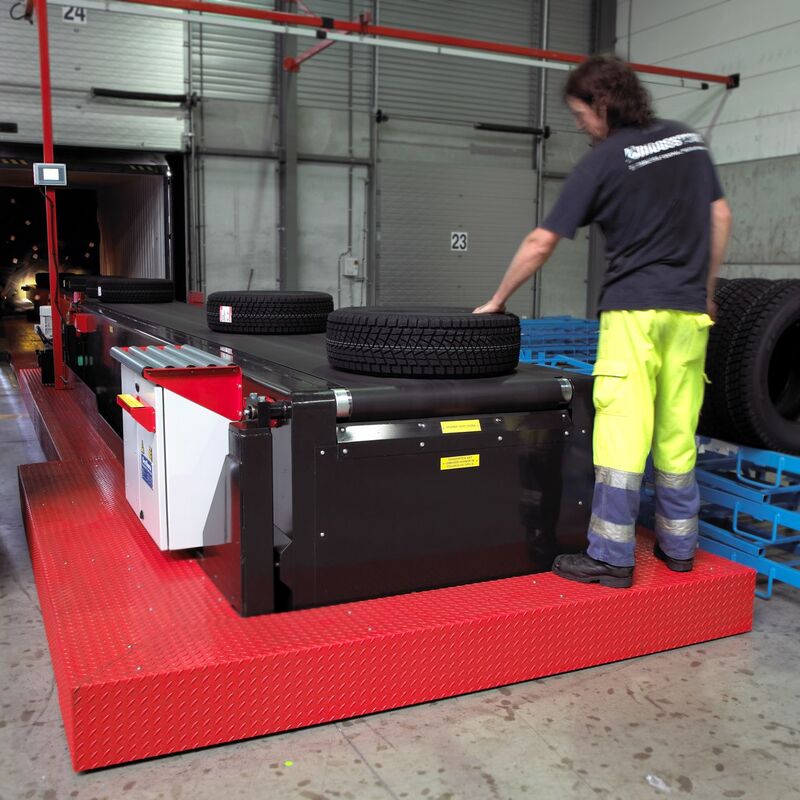 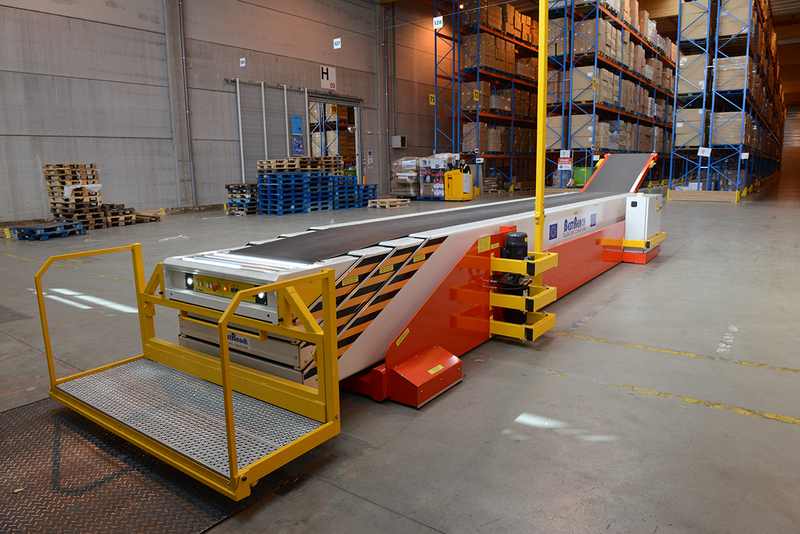 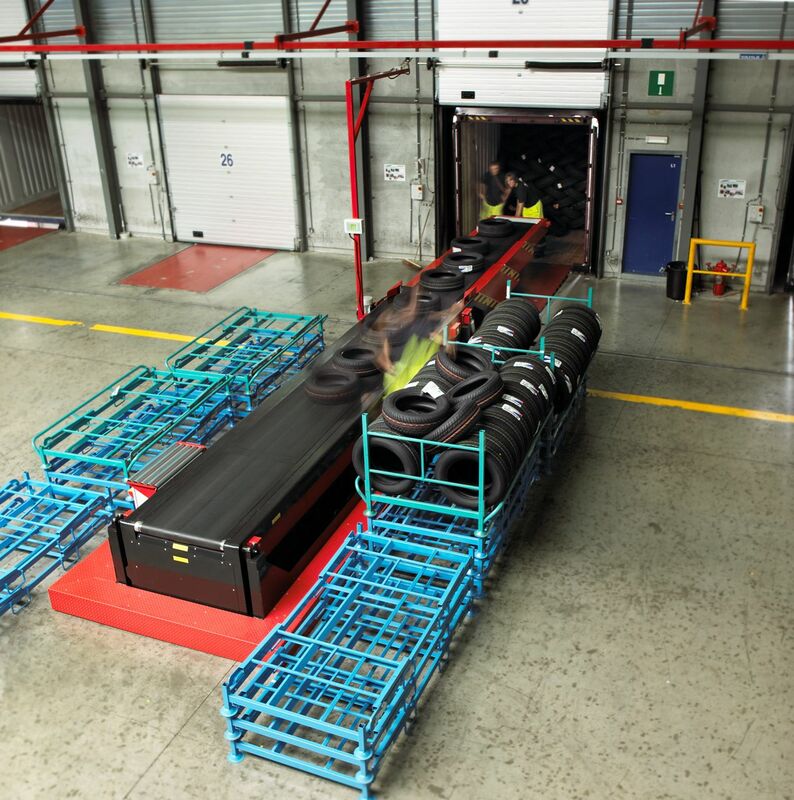 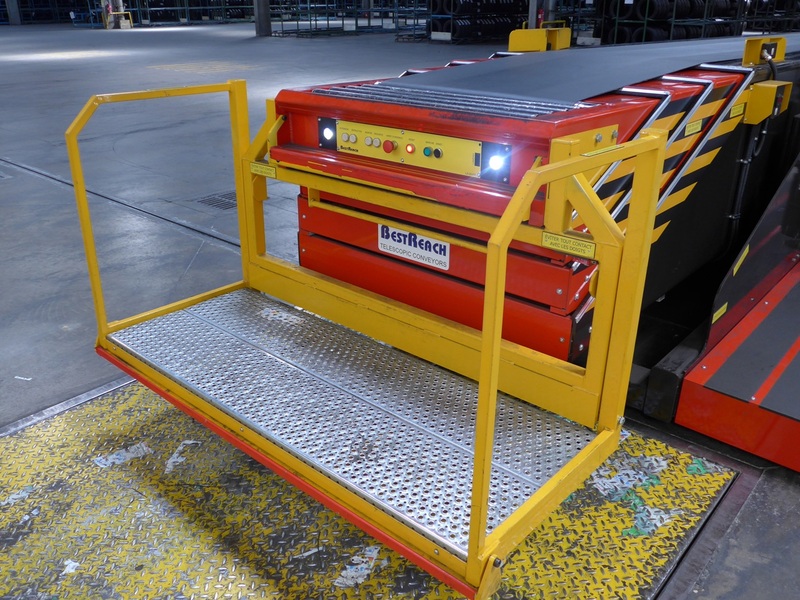 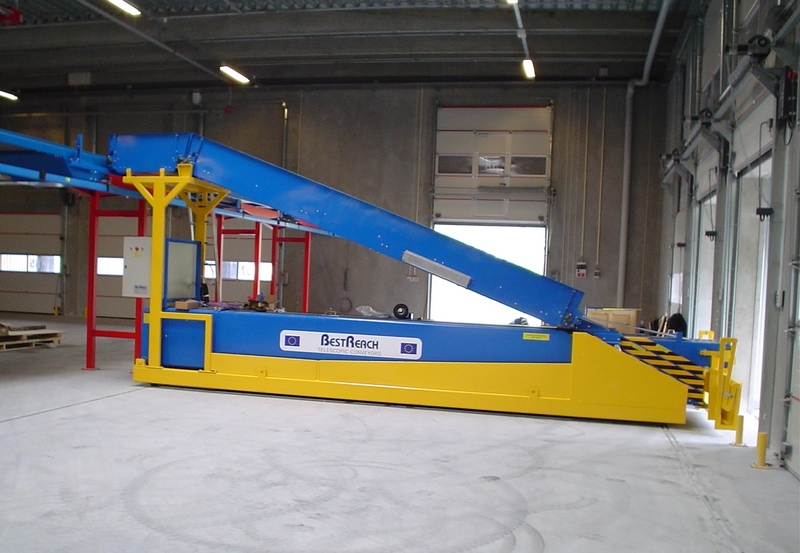 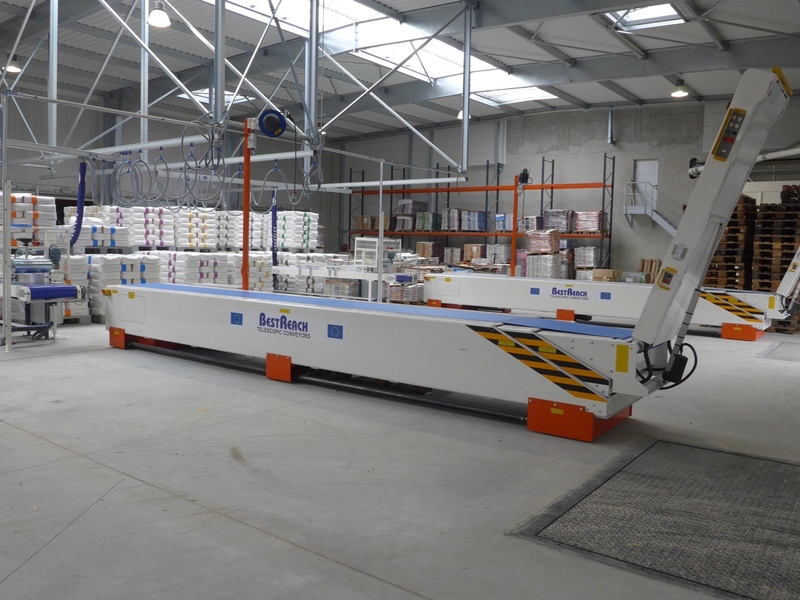 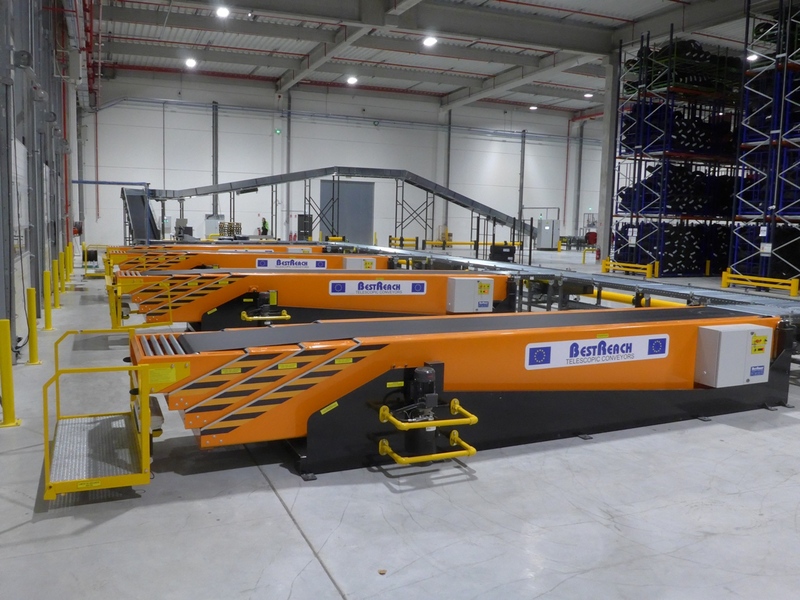 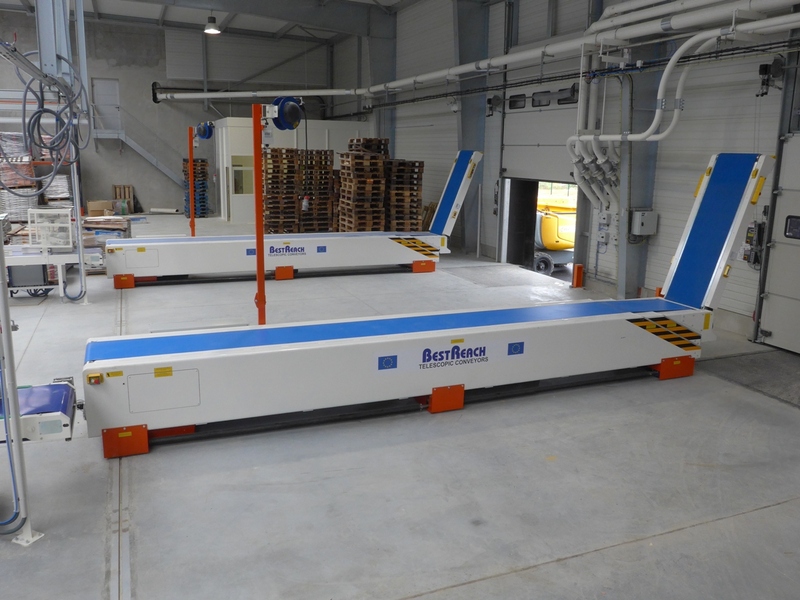 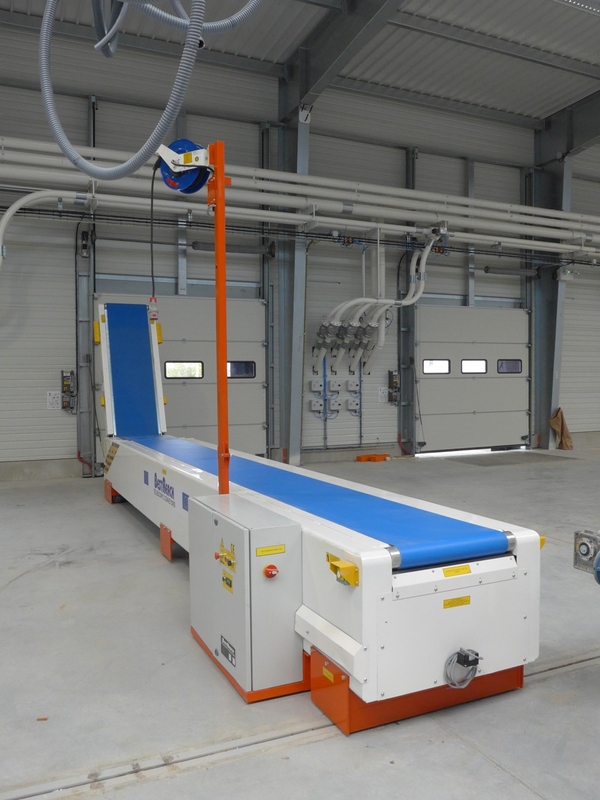 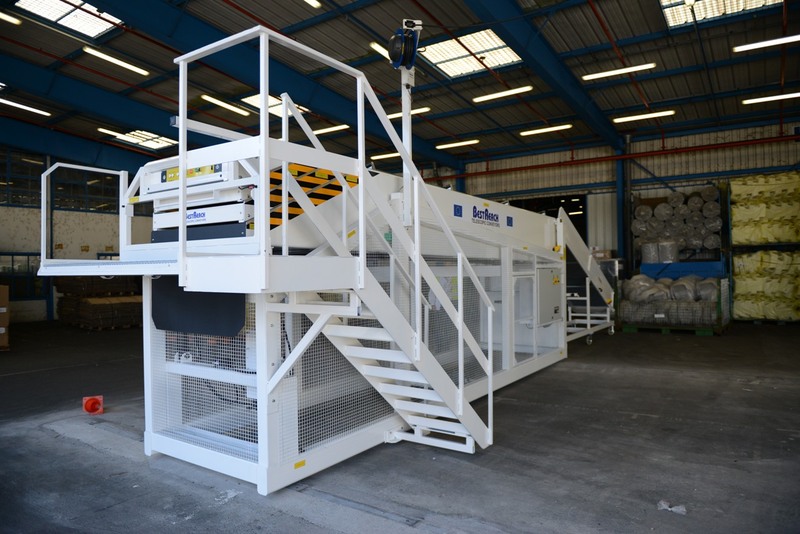 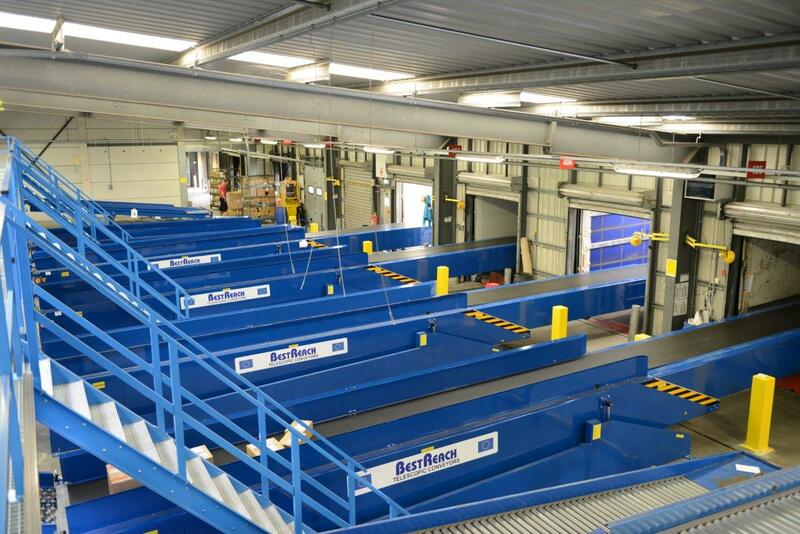 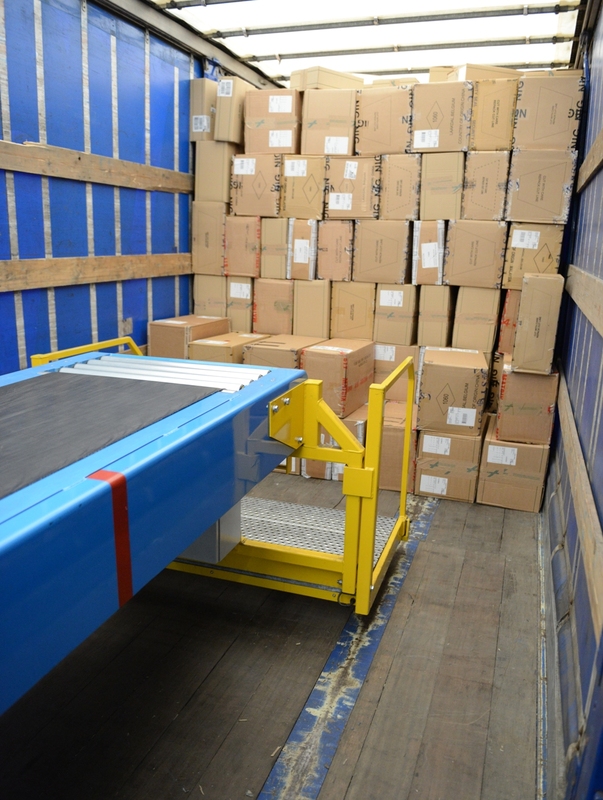 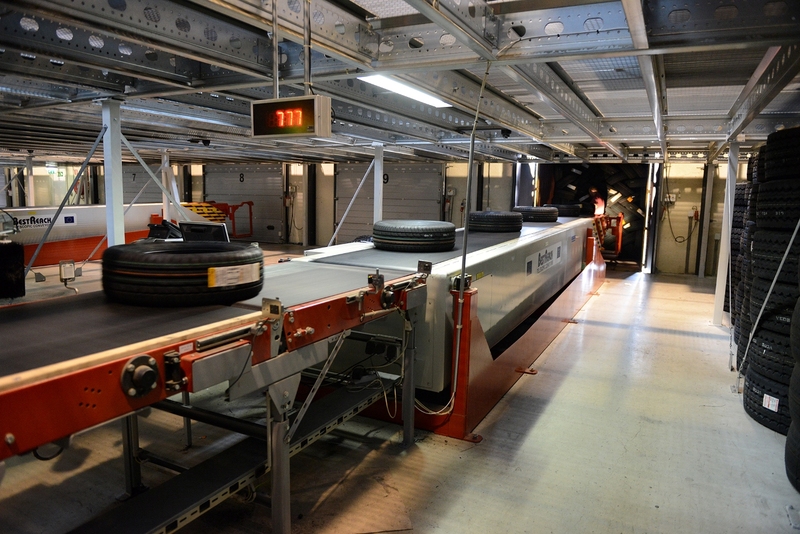 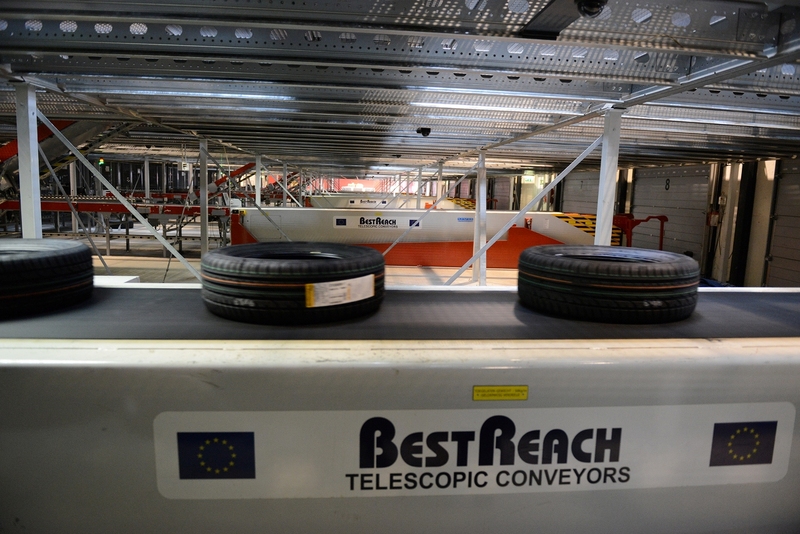 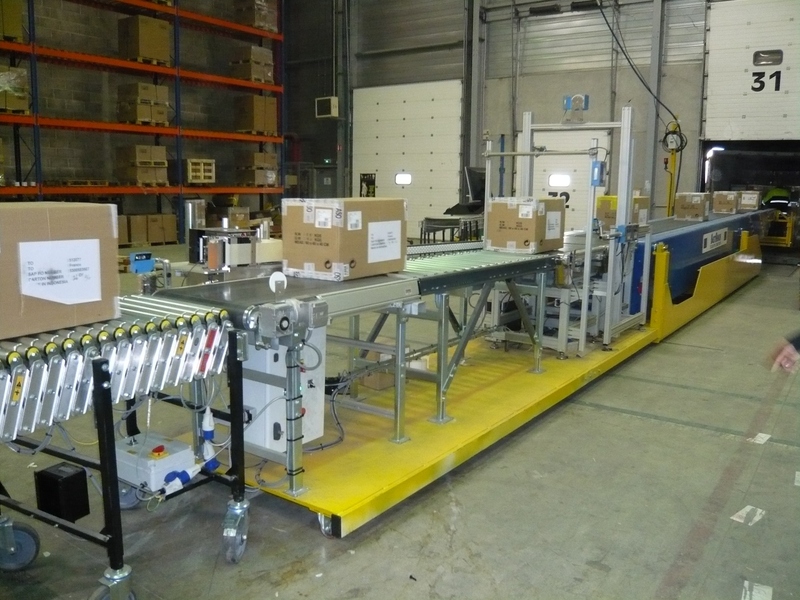 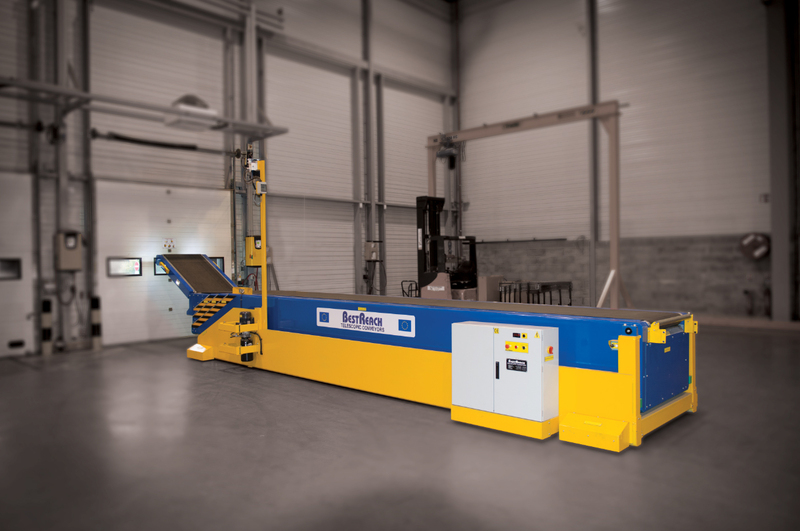 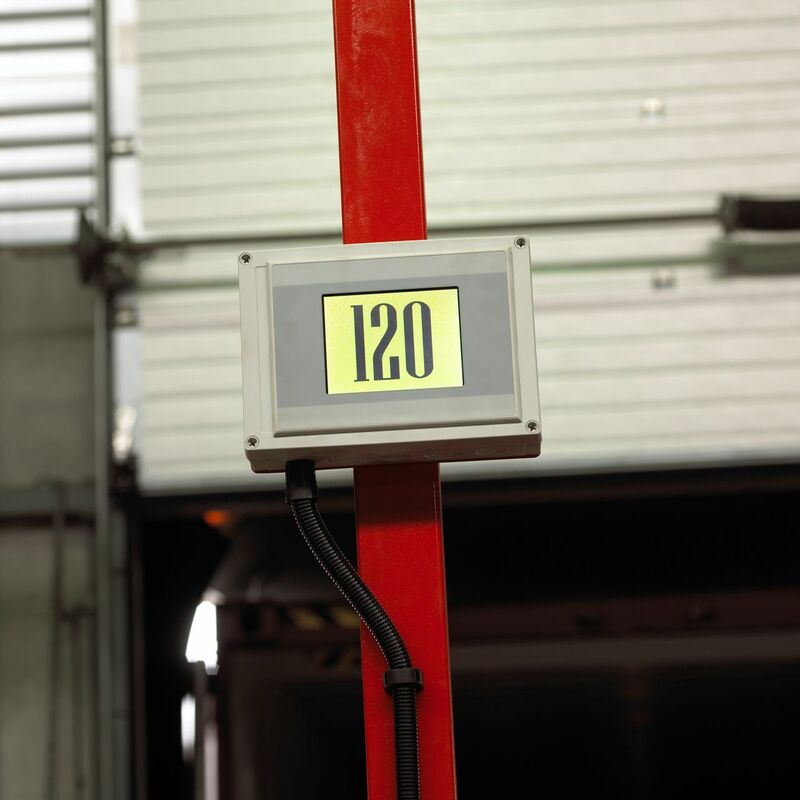 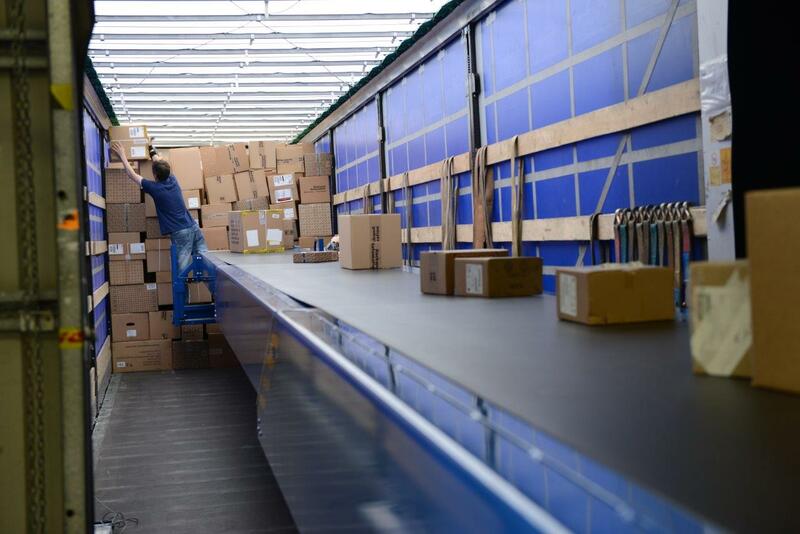 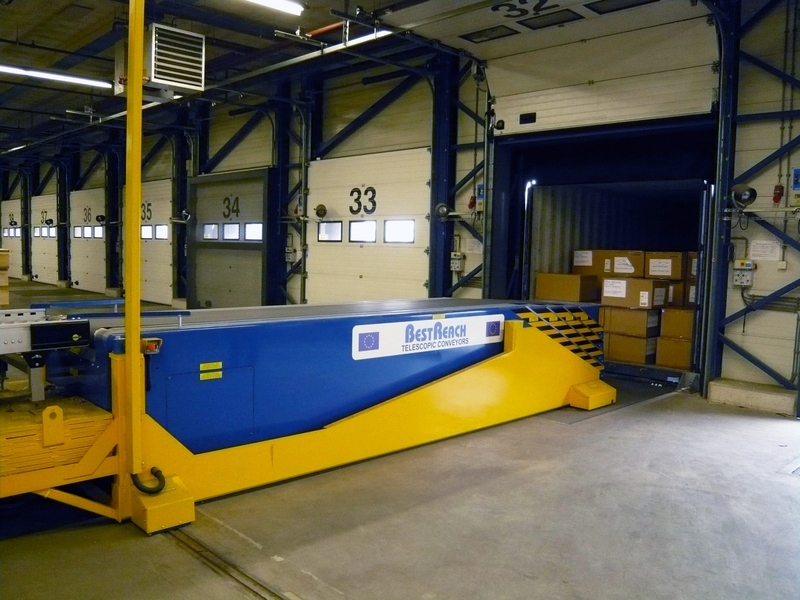 With the BestReach system, you can automate your loading and unloading areas and convey a variety of products from large to small cartons, from loose bags to tires. 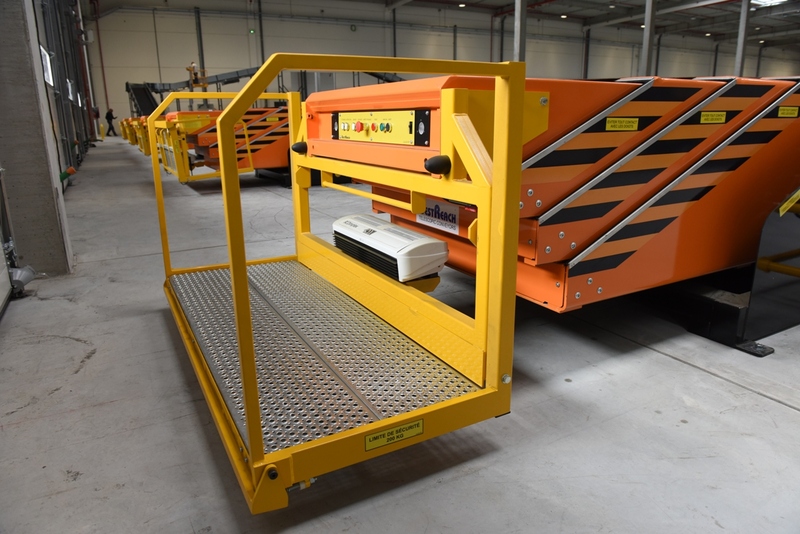 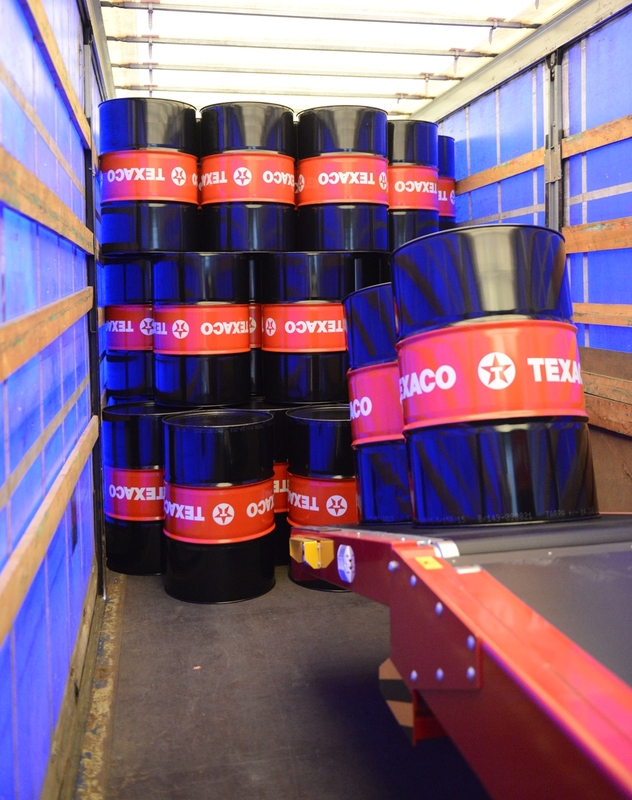 Moving large volumes of freight in and out of trailers is made faster, easier and most importantly safer, with the operator controls conveniently located at the end of the unit. 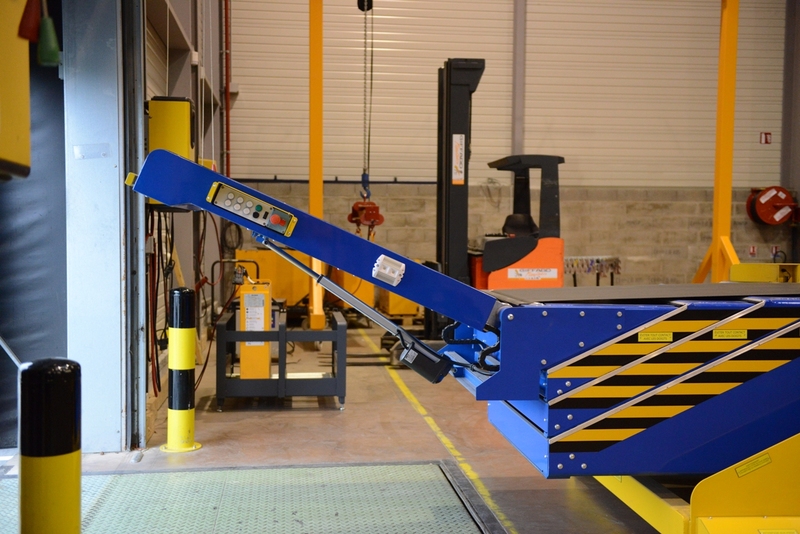 For maximum efficiency and ergonomics, a hydraulic tilt and man-rider platform for the operator is essential. 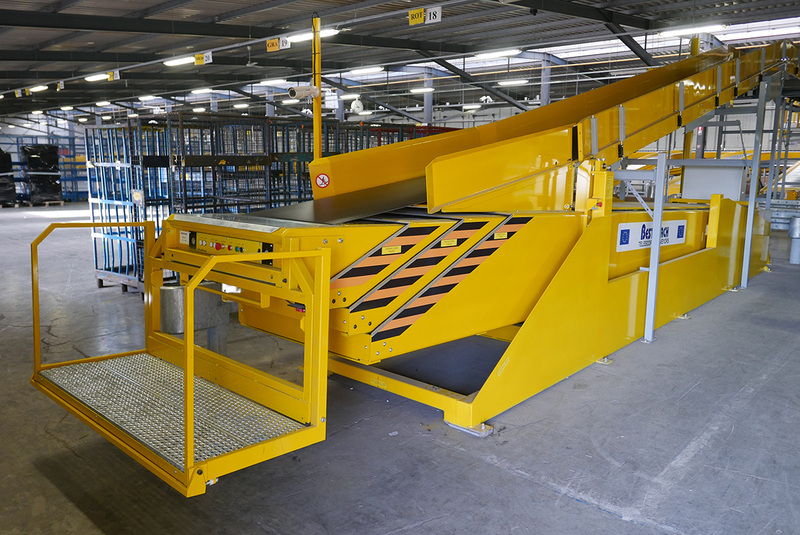 The addition of an operator-platform enables the operator to maintain comfortable ergonomic contact with the picking face and reduces fatigue. 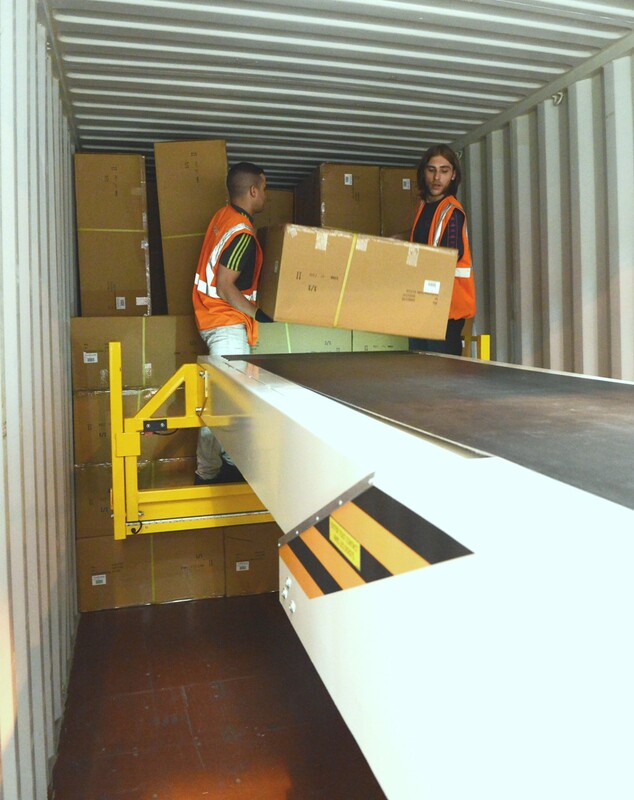 Standing on boxes for handling the top tier and by consequence damaging the lower tier of boxes is no more an issue. 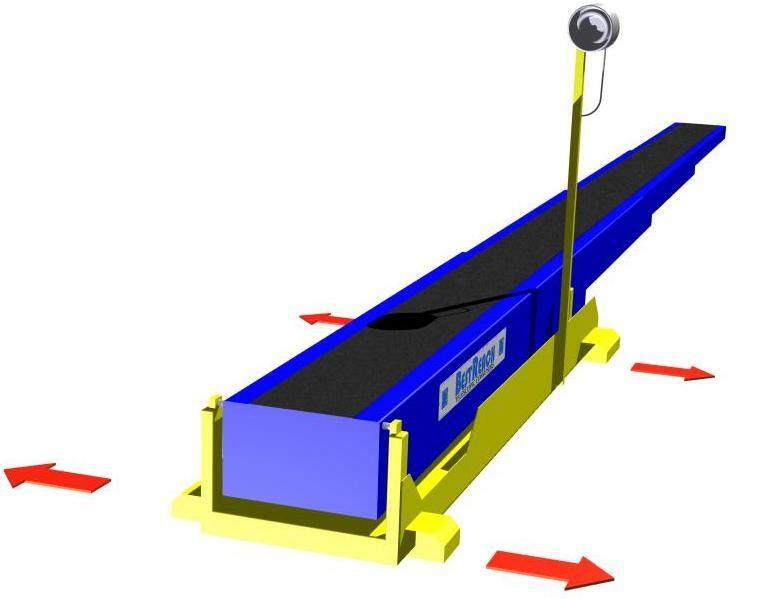 The addition of a hydraulic tilt improves the ergonomics of the telescopic boom conveyor by making it easier for the operator to handle freight at different heights within the vehicle. 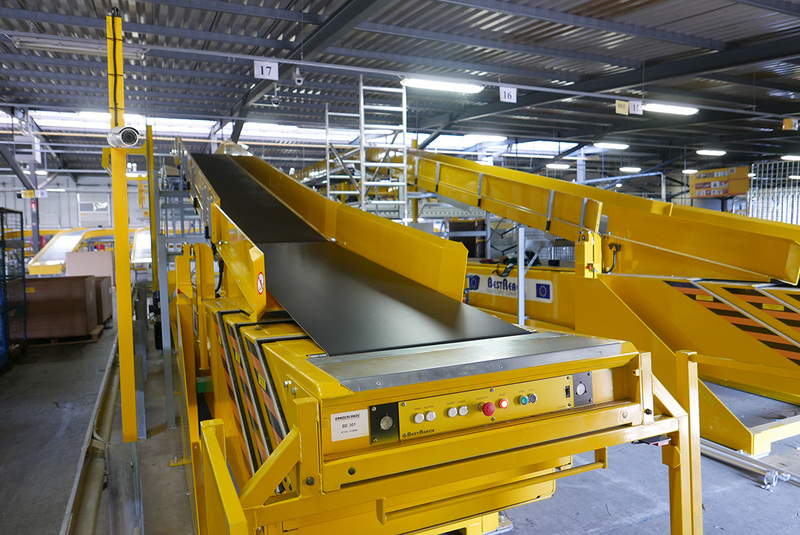 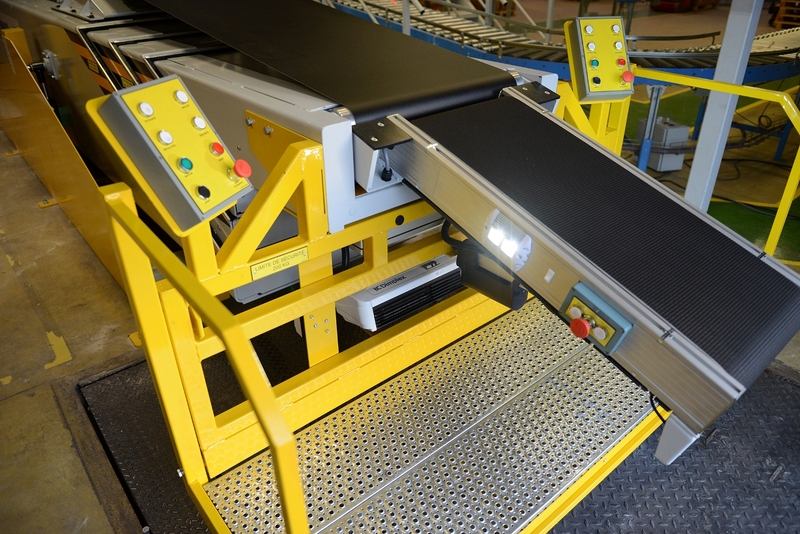 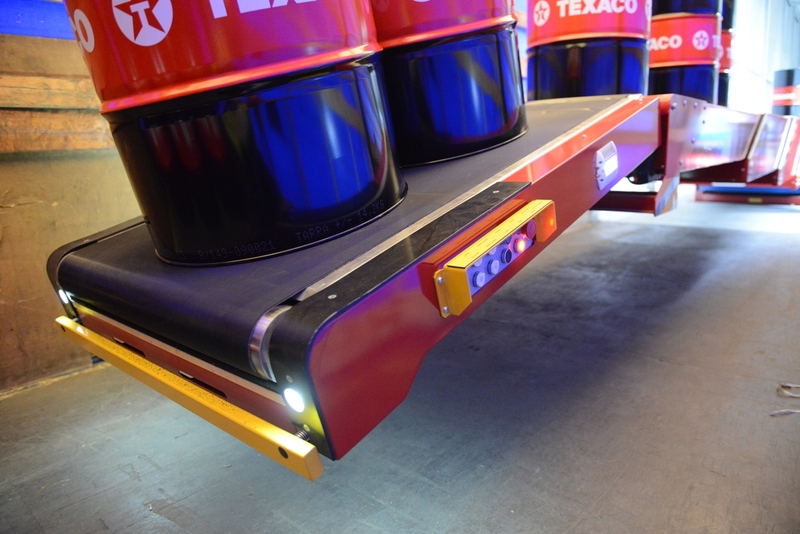 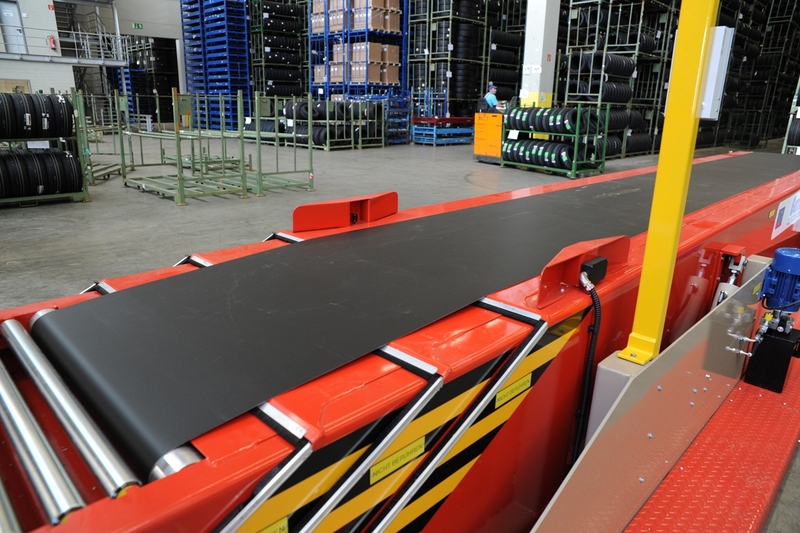 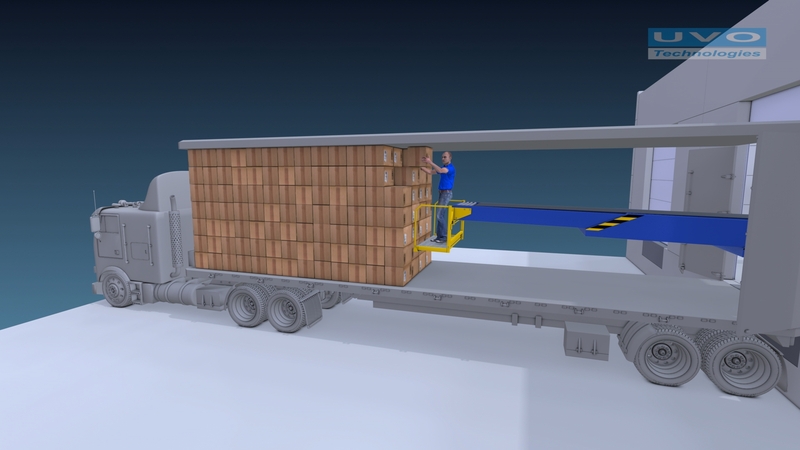 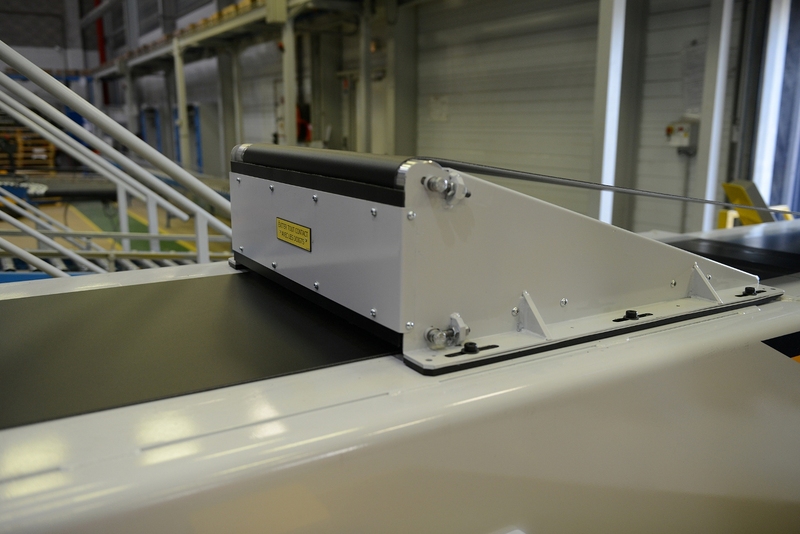 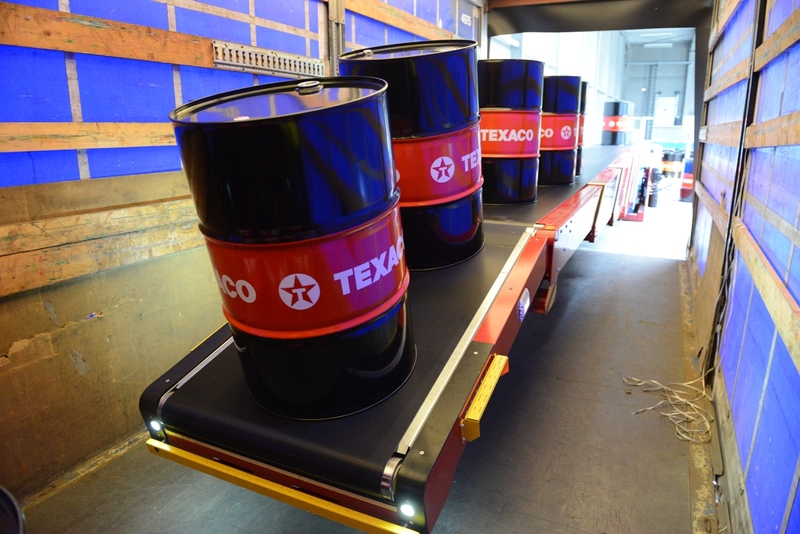 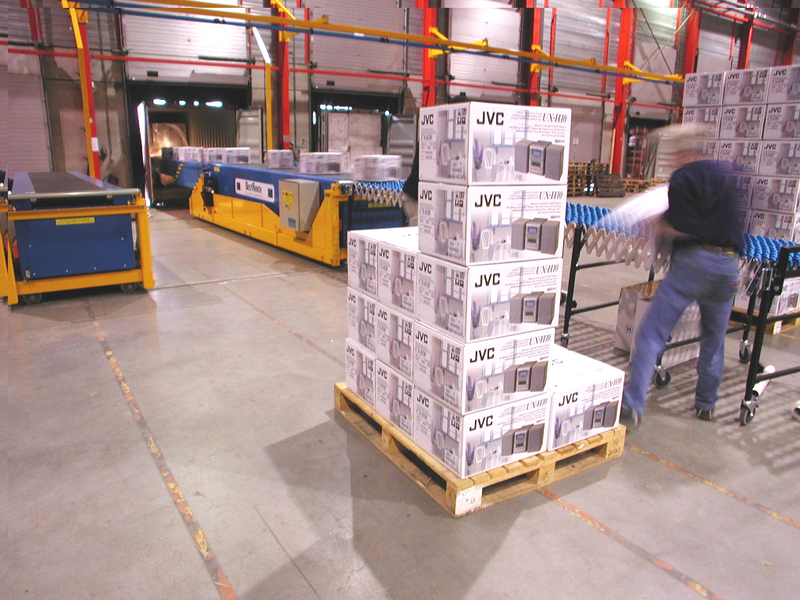 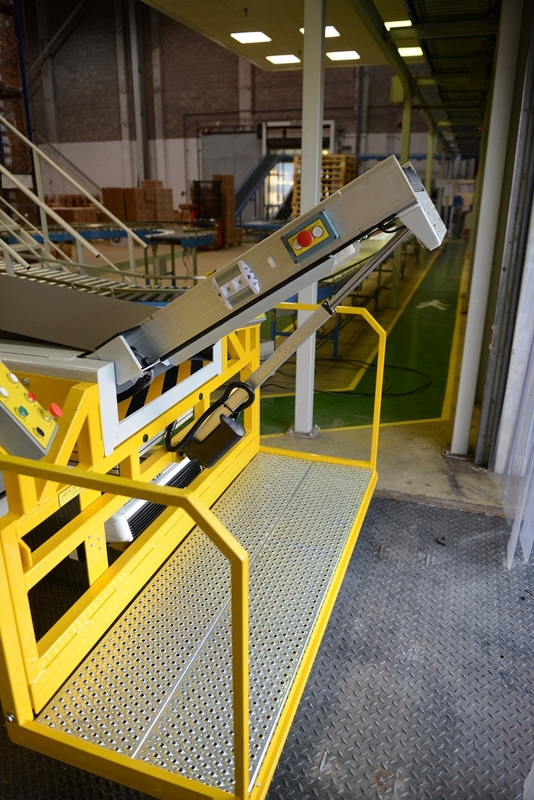 Sideways traversing enables easy access to different platforms with the same telescopic conveyor. 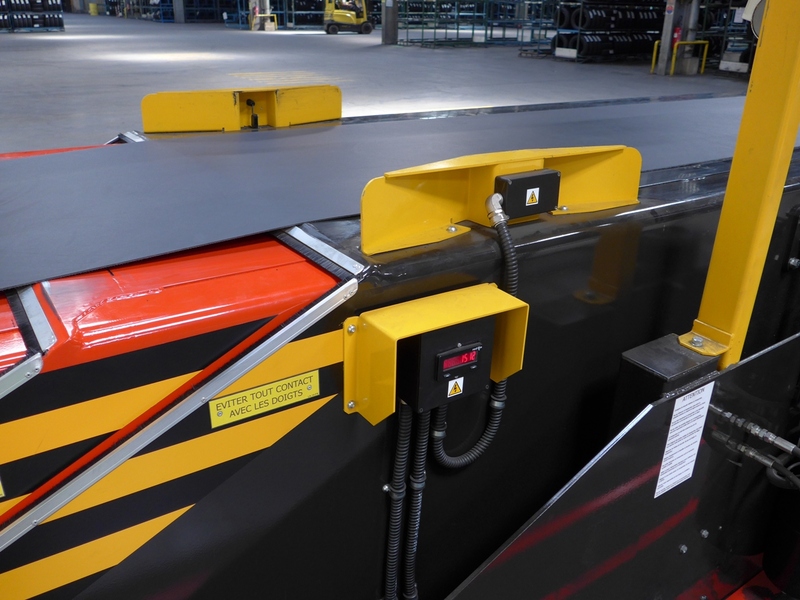 Where a loading dock handles multiple vehicles per day at different receiving bays lateral traversing will deliver the maximum benefit from the conveyor and improve vehicle turnaround. 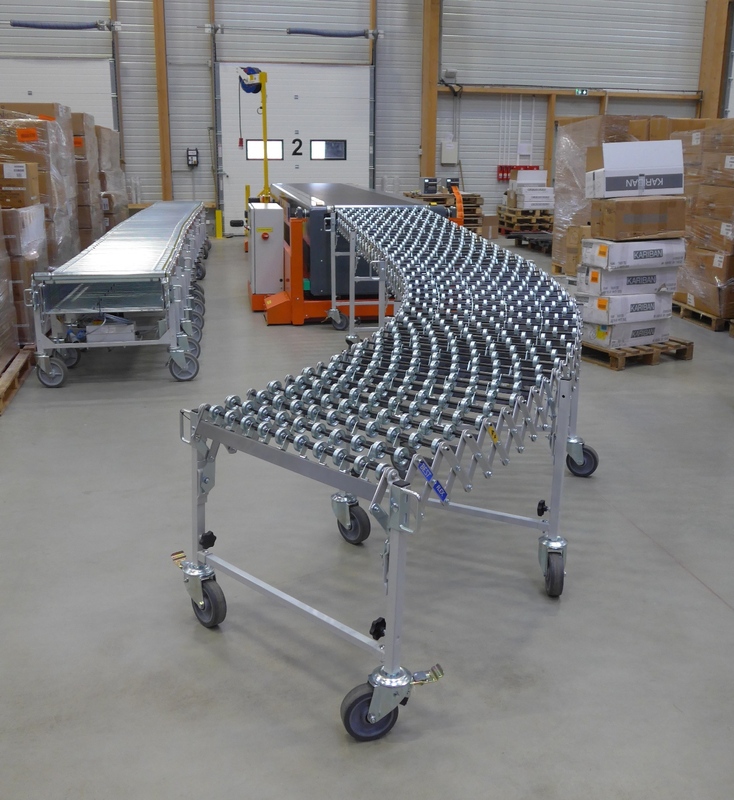 This traverse is performed with guiding rail or standalone without rail. 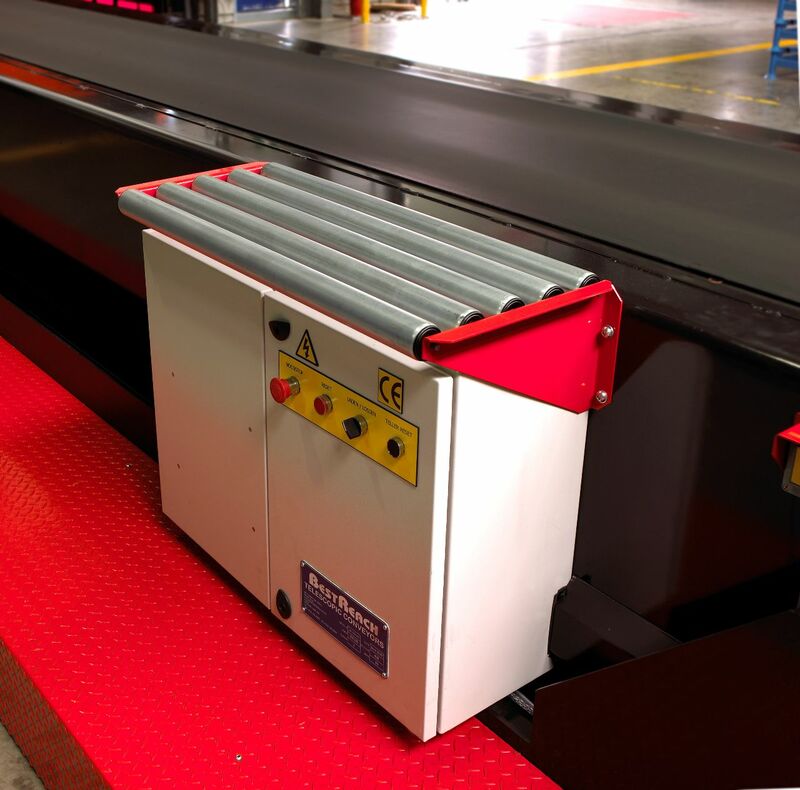 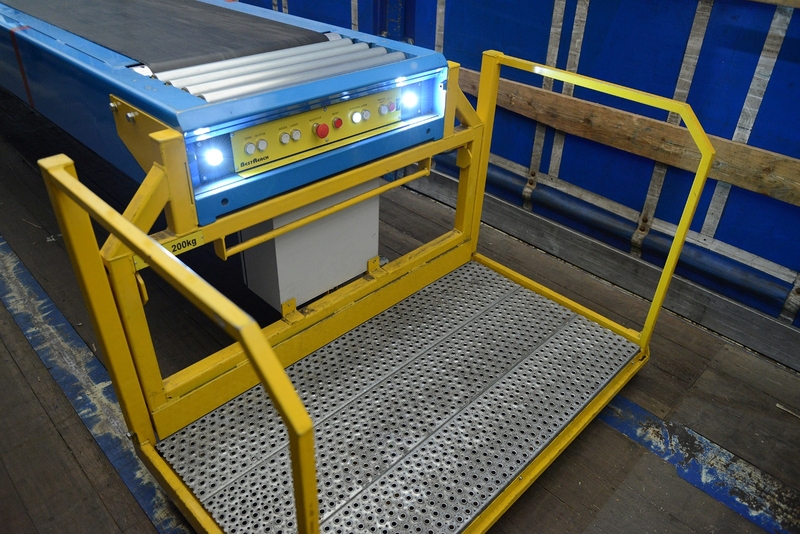 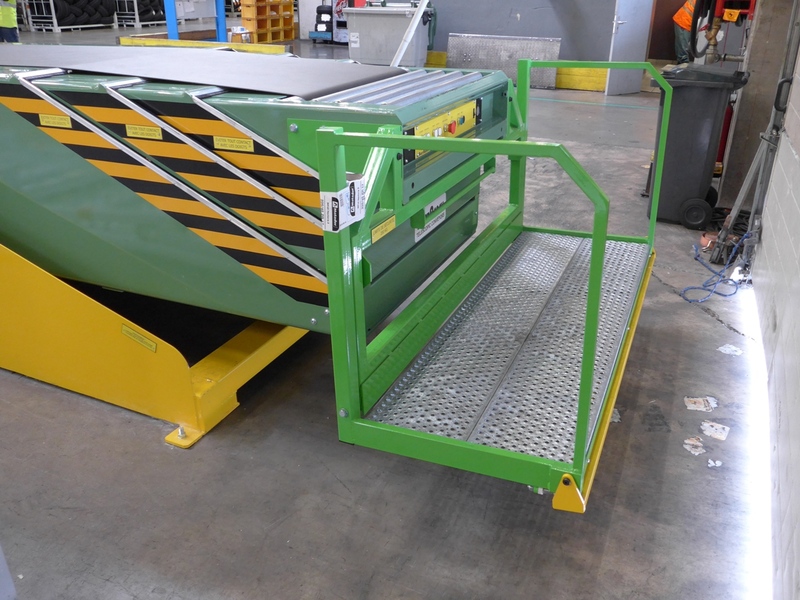 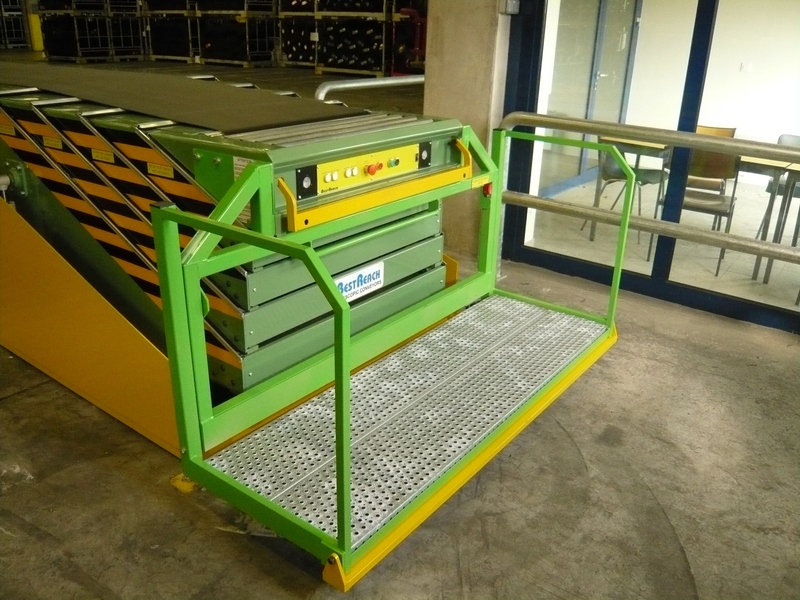 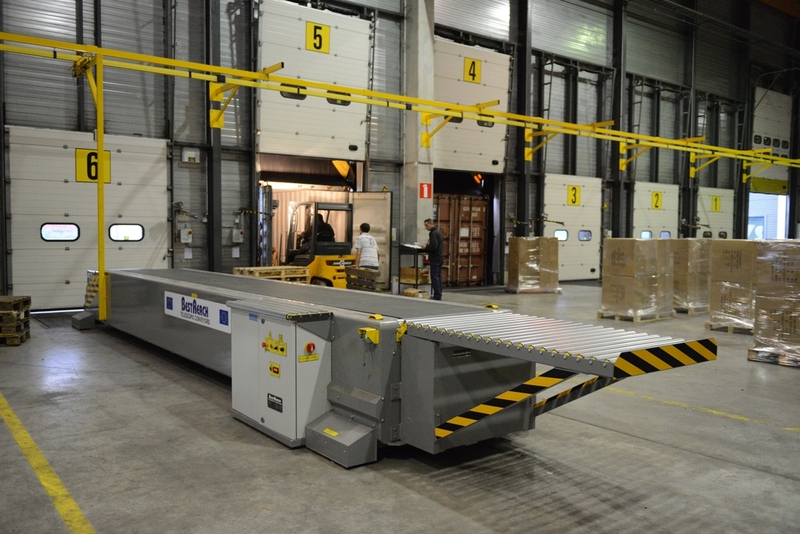 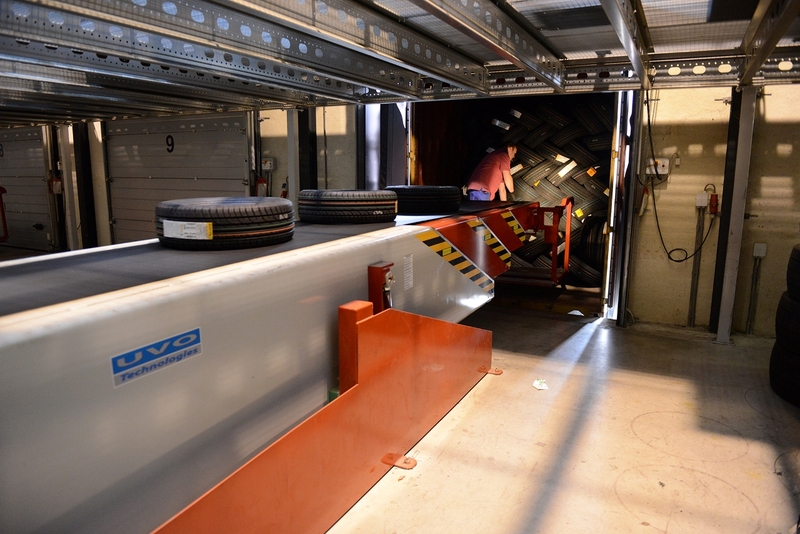 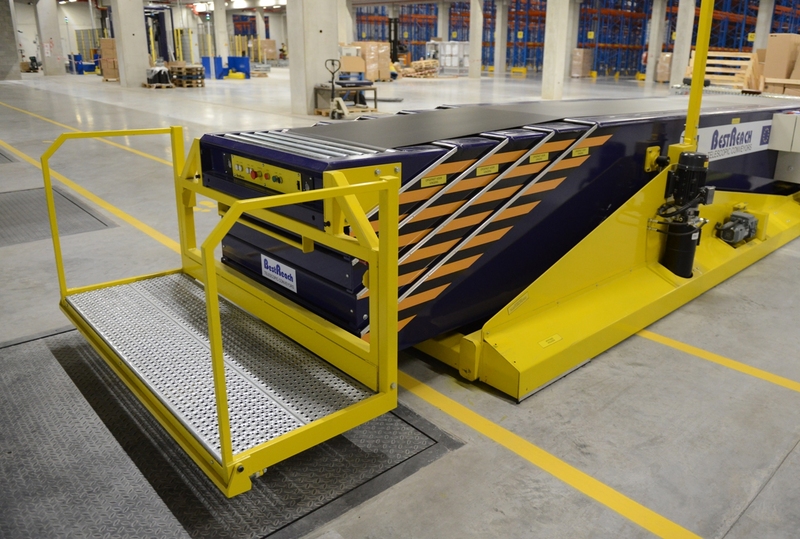 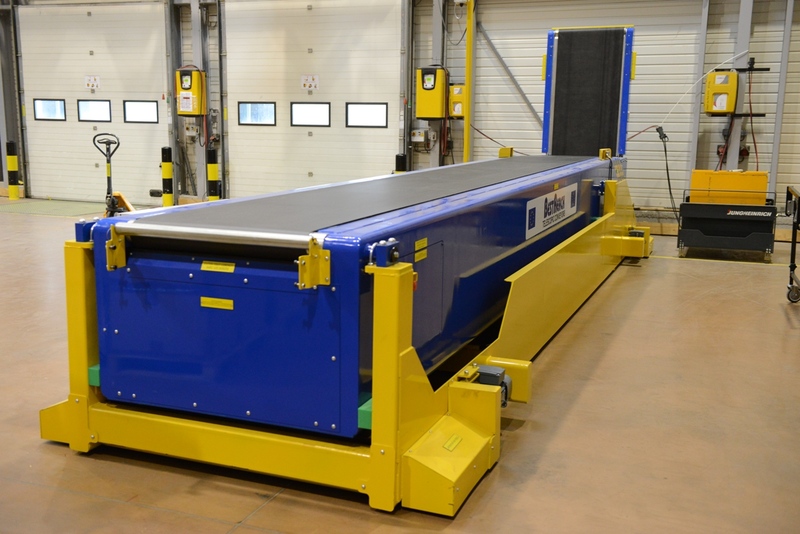 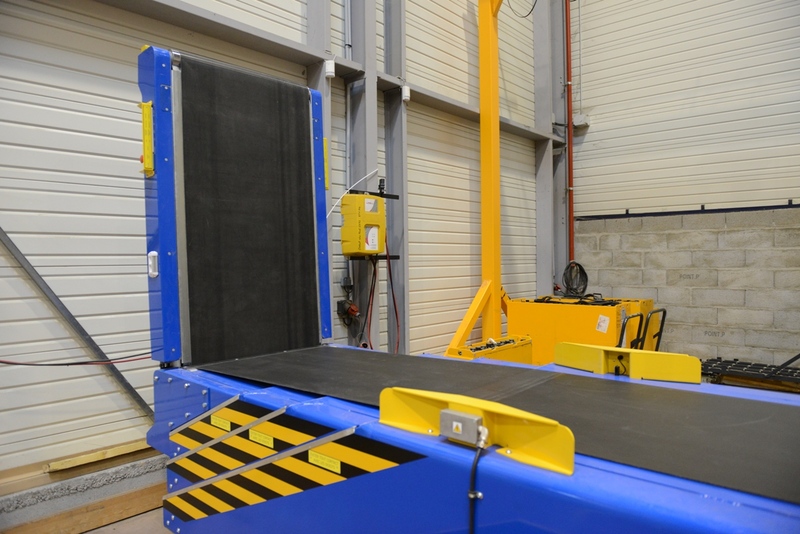 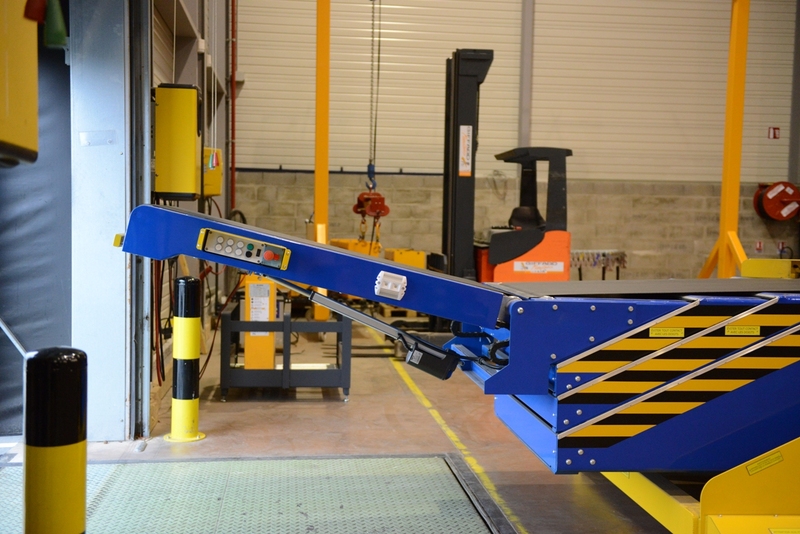 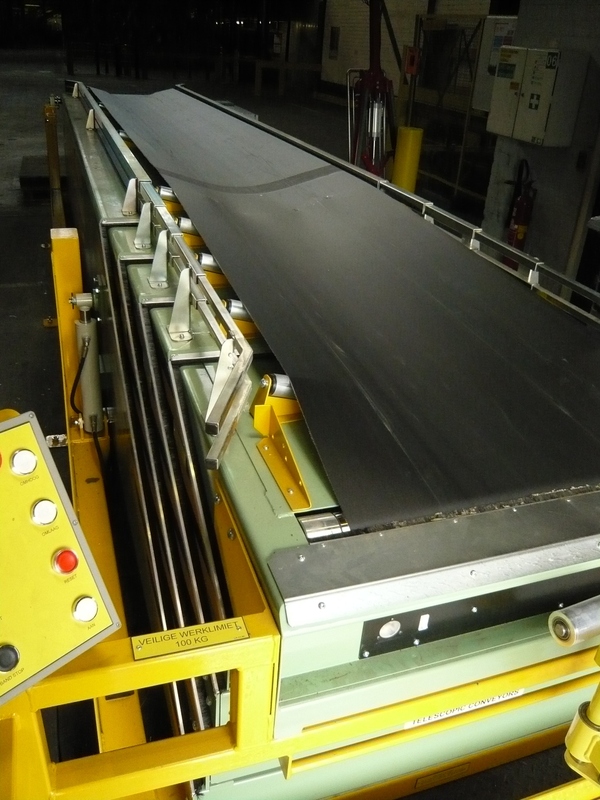 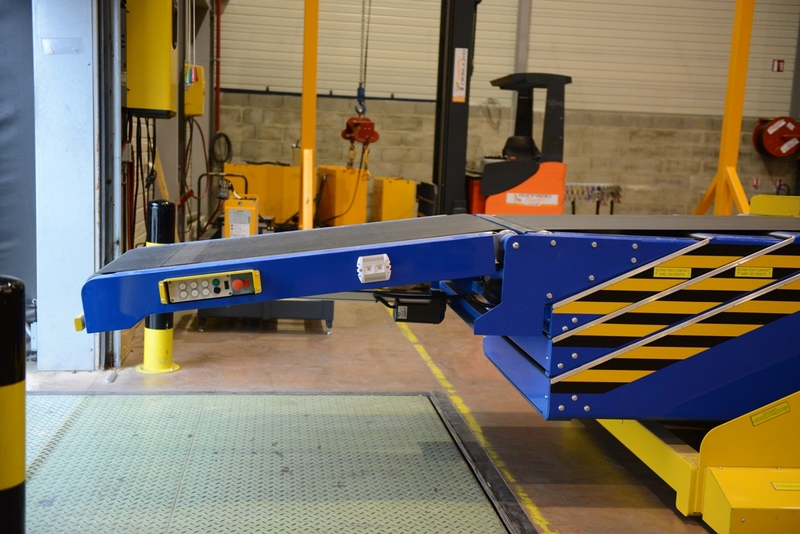 Where there is no loading dock a high level chassis can be constructed to lift the conveyor to the required height.